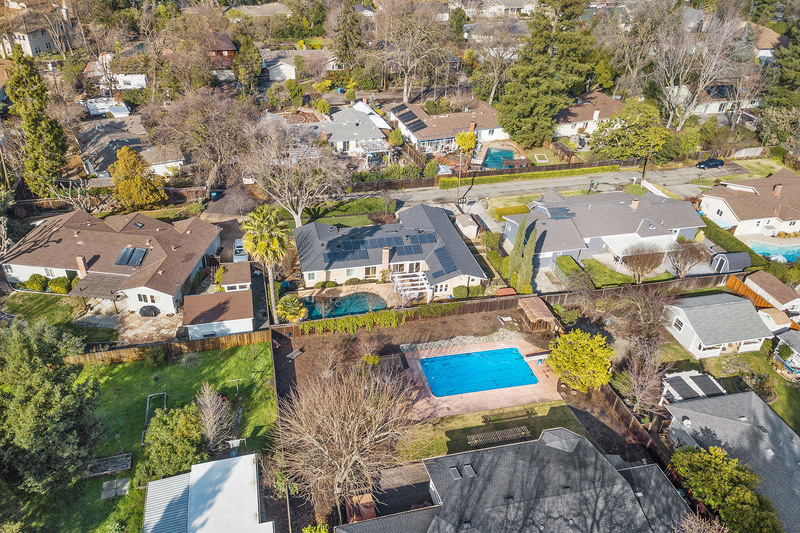 Meander down Karen Lane in Walnut Creek and you will find a private court tucked down at the end of the street. 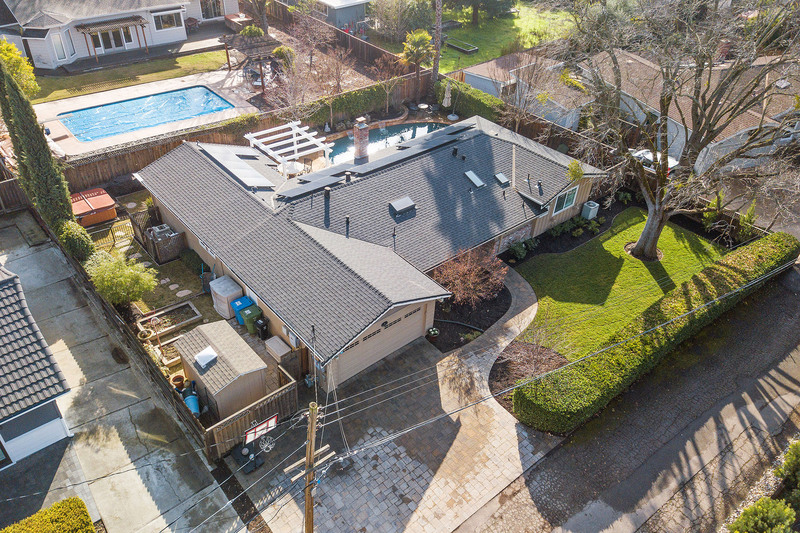 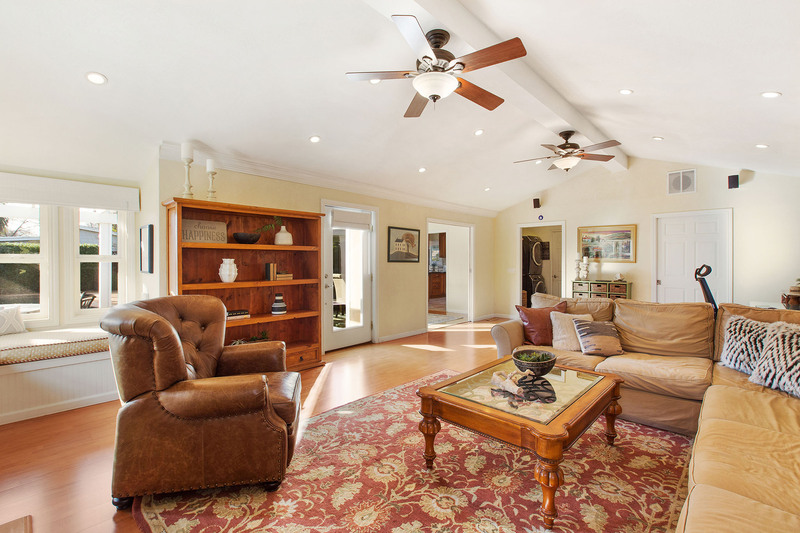 This hidden gem consists of 5 homes and is home to 3 Karen Court. 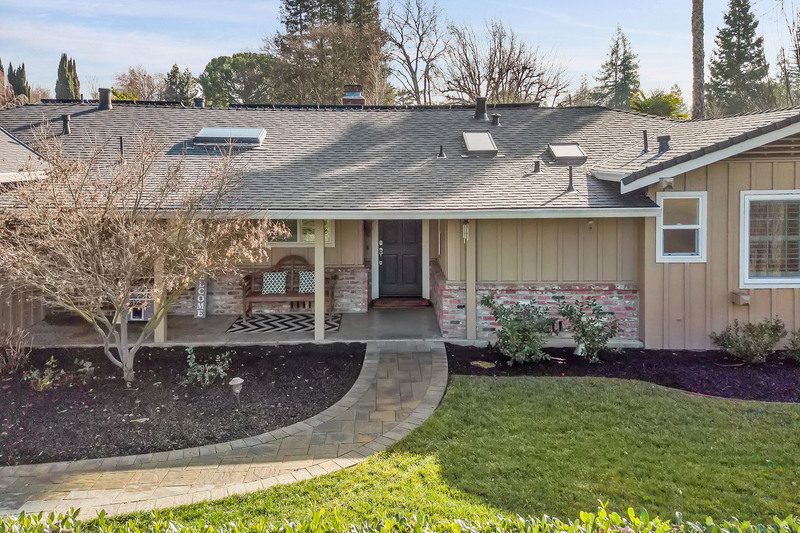 You are immediately drawn up the paver walkway, offset by a gorgeous Japanese maple, and welcomed onto the covered front porch of this charming home. 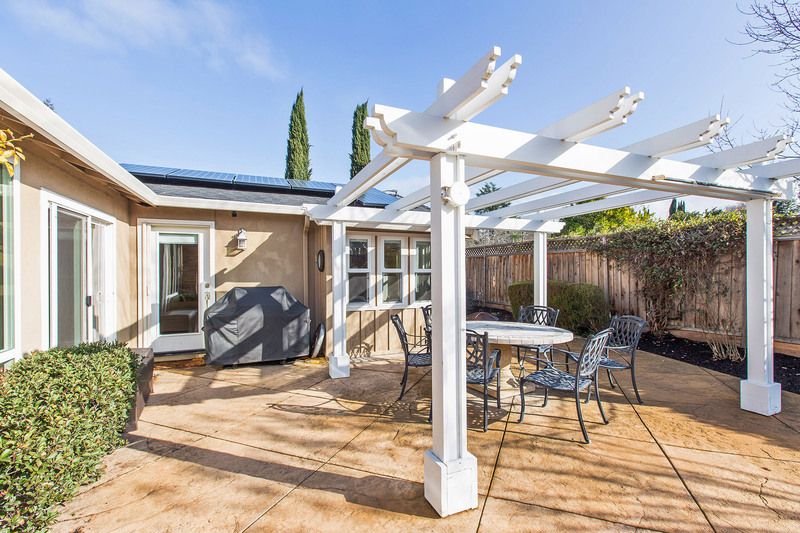 Sit out front and enjoy a cool beverage in this private space. 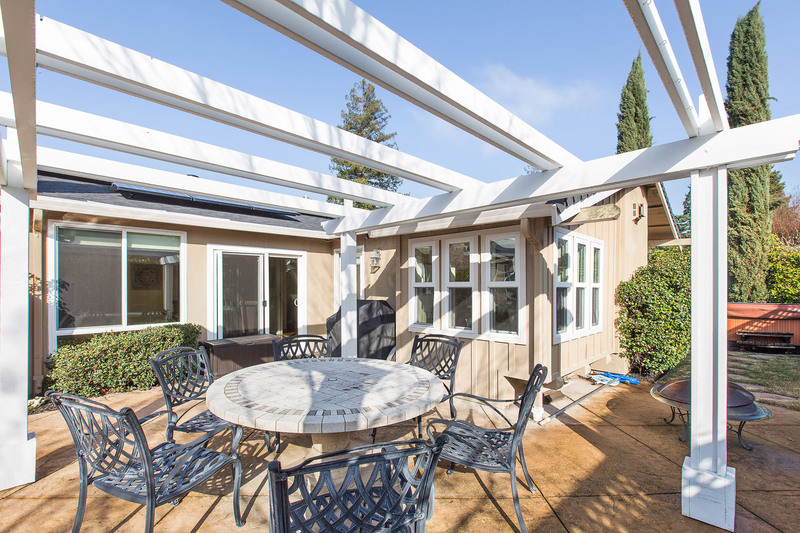 A privacy hedge frames the large grassy area, perfect for play! 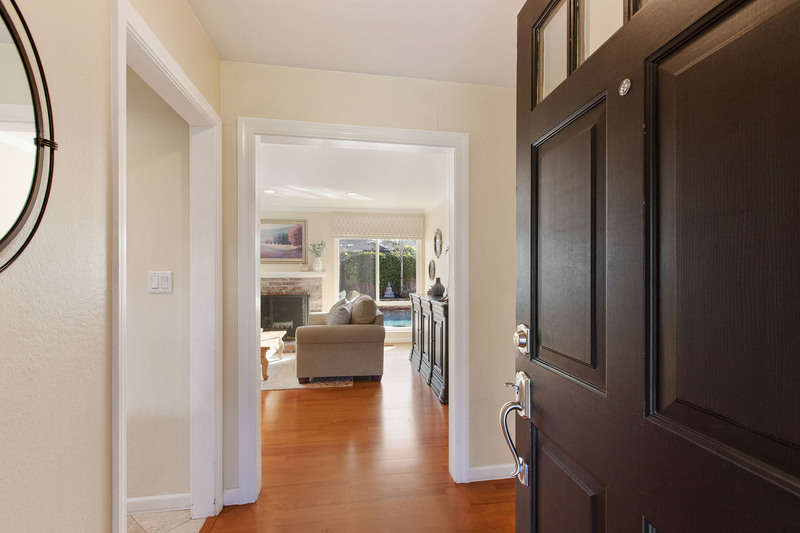 Cross the threshold and you will immediately notice the warmth from the gleaming hardwood floors and natural light that this home offers. 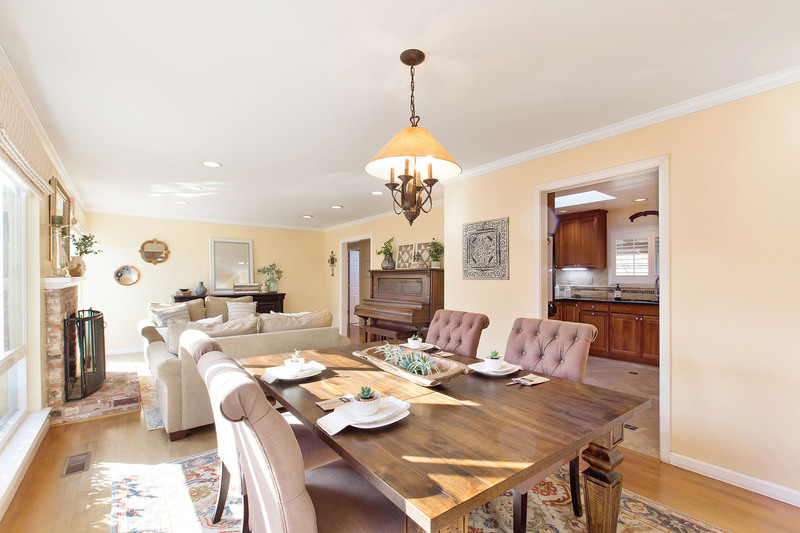 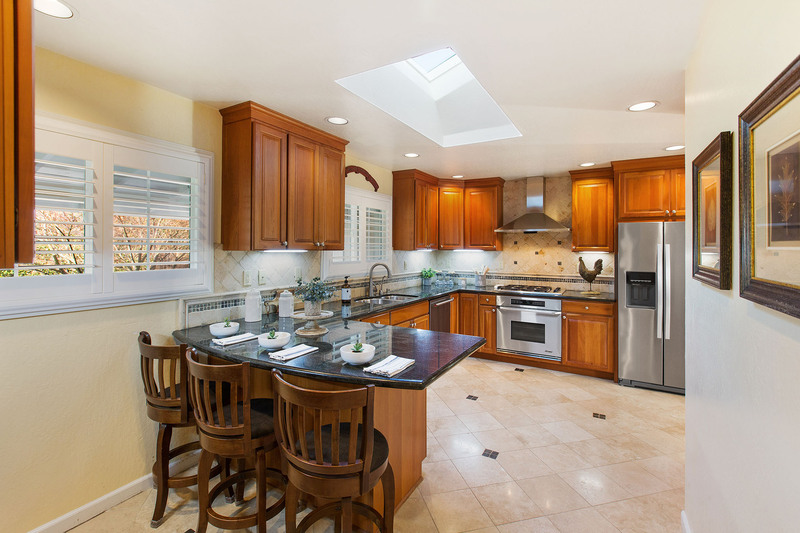 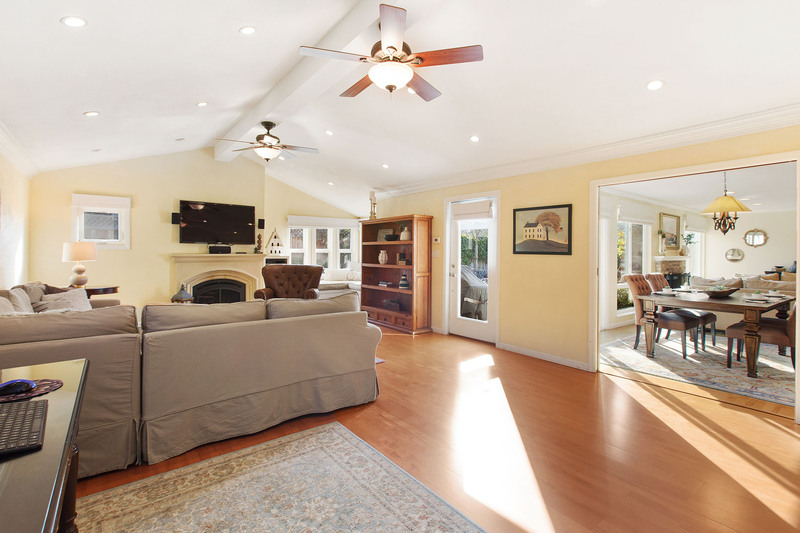 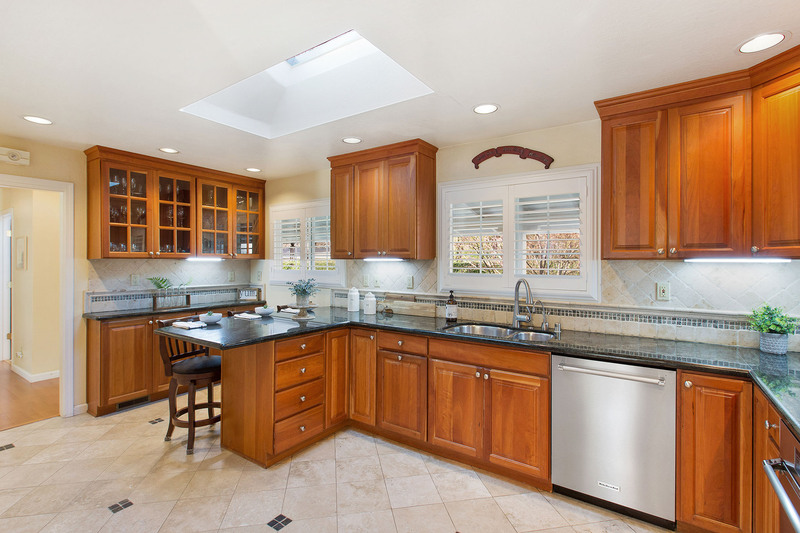 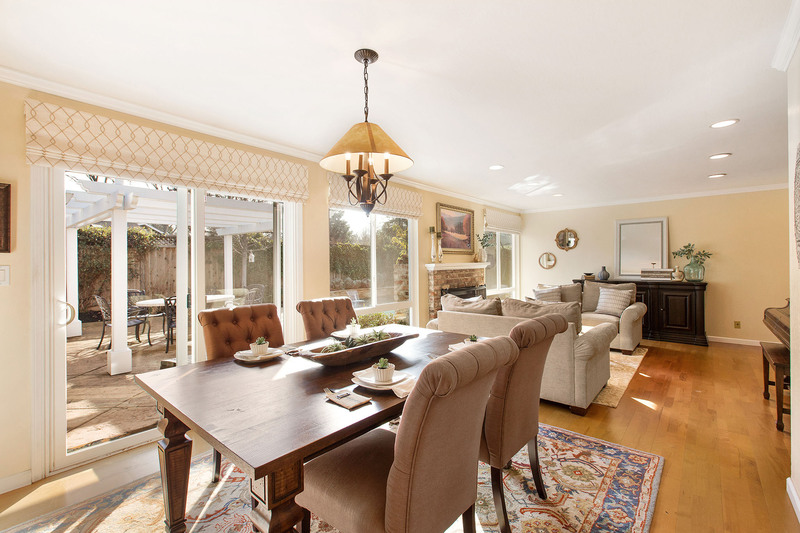 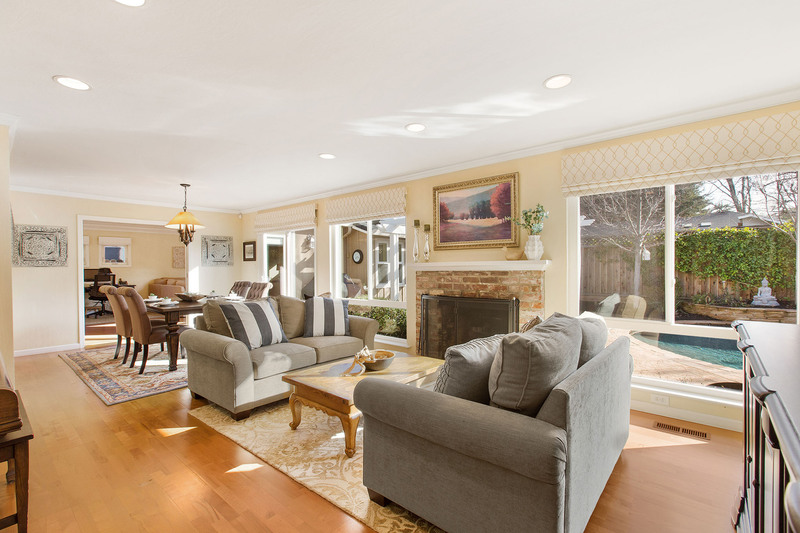 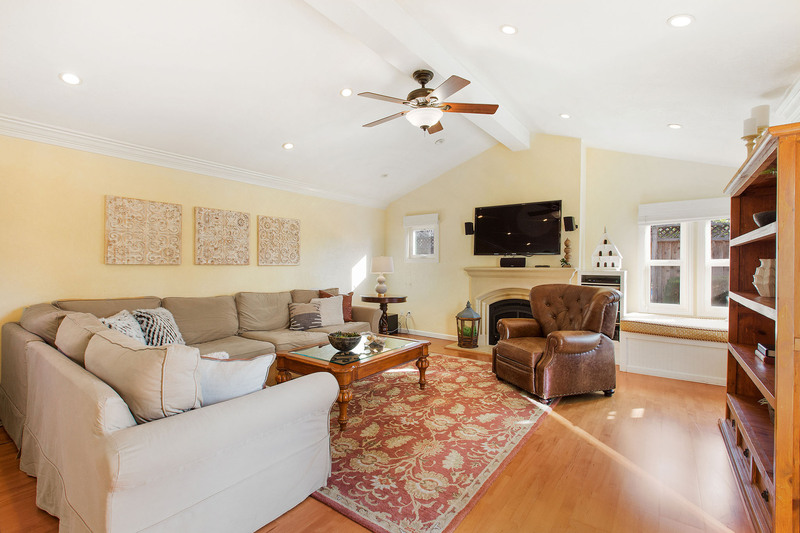 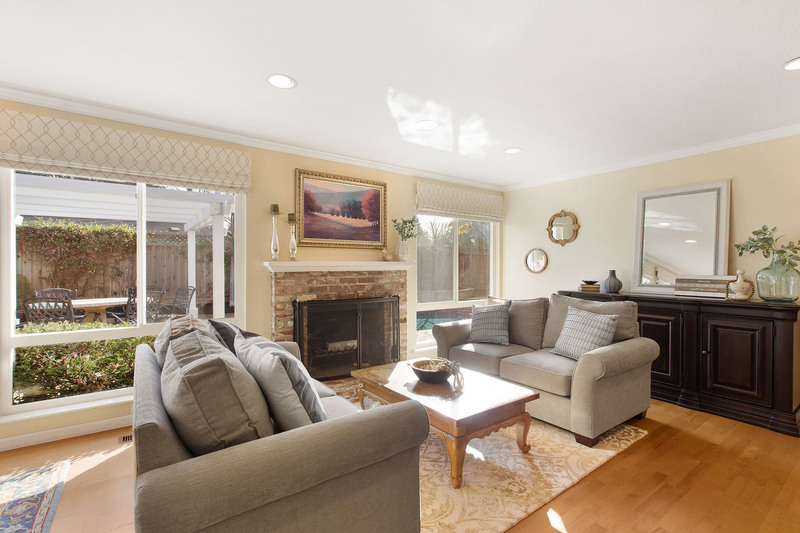 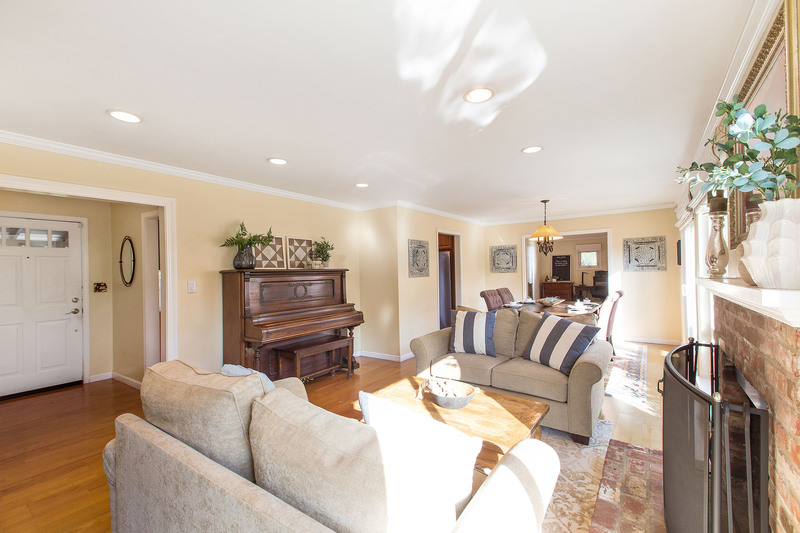 Totally remodeled from top to bottom over the years, this home has been thoughtfully designed for beauty and comfort. 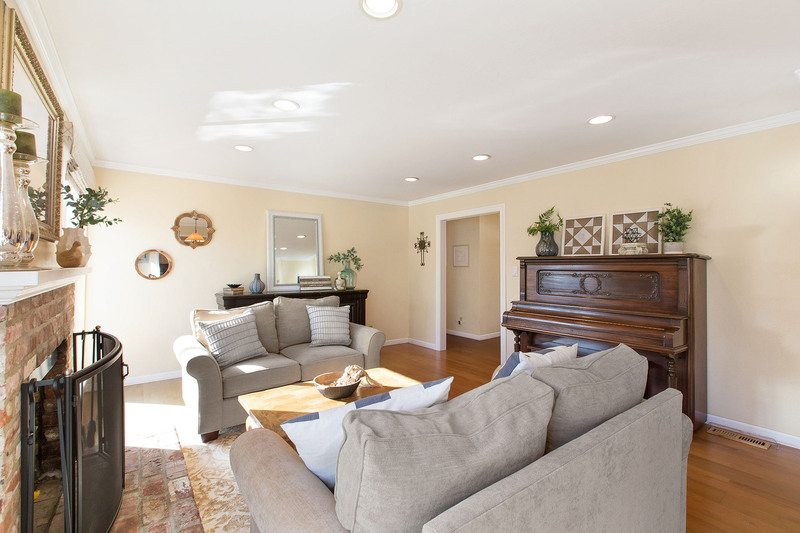 Straight through the foyer, you enter the light-filled living room. 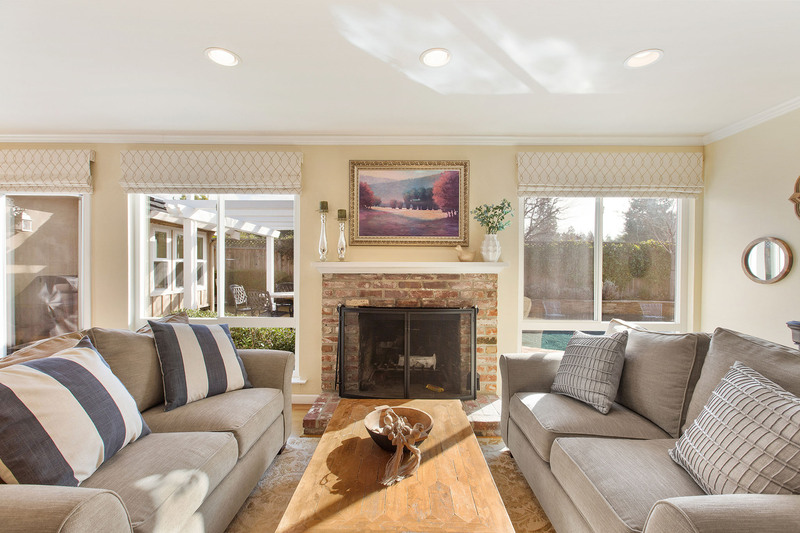 With floor to ceiling windows flanking the wood-burning fireplace, this room is the heart of the home. 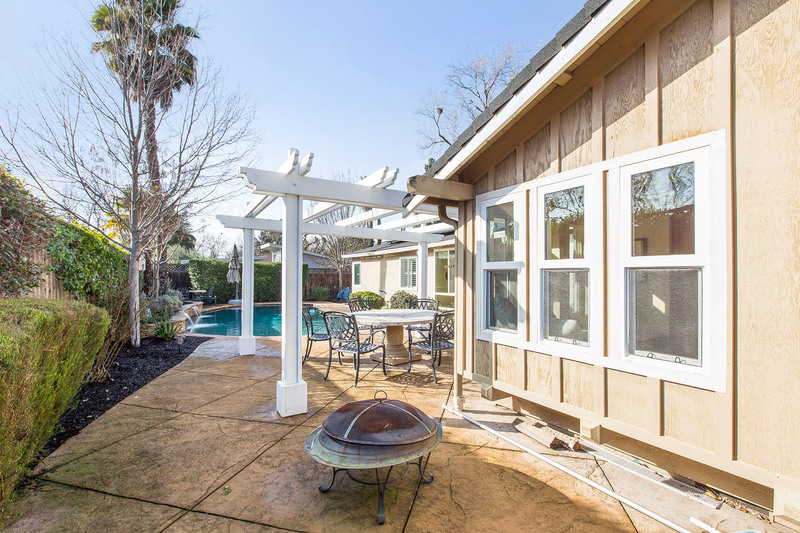 Cozy up by the fire and take in the views of the lovely yard and sparkling pool. 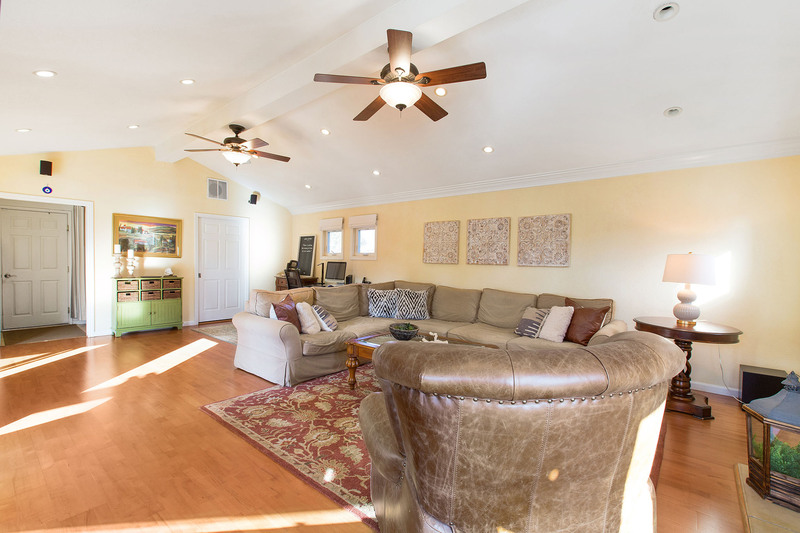 At the far end of the room, you will find a dining area with a slider out to the back patio for great entertaining flow. 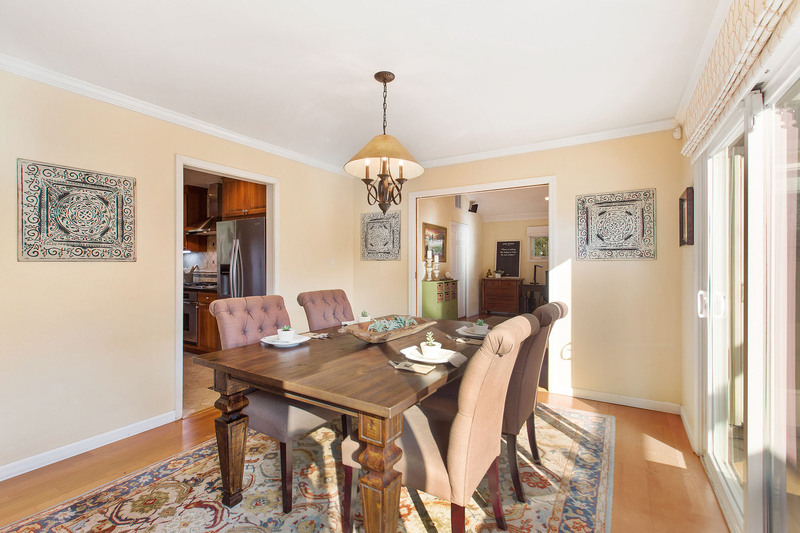 Leading off the dining room, you are welcomed into a large family room addition. 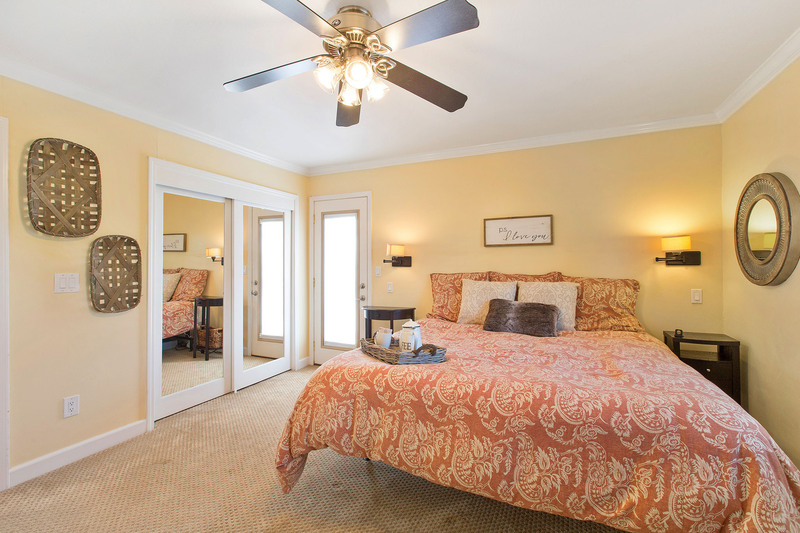 This beautiful room has vaulted ceilings, hardwood floors, Hunter Douglas ceiling fans, and a gas fireplace. 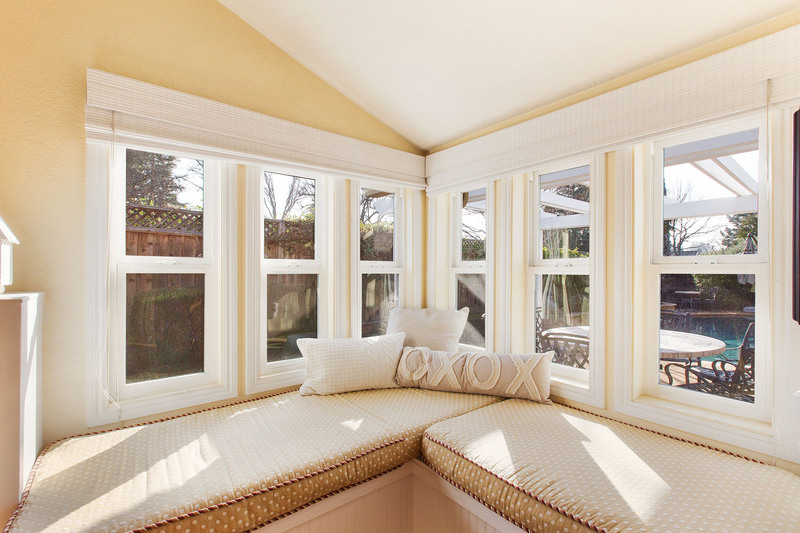 Snuggle up with a book in the built-in corner window seat, relax on the couch in front of the fire or play games with the family. 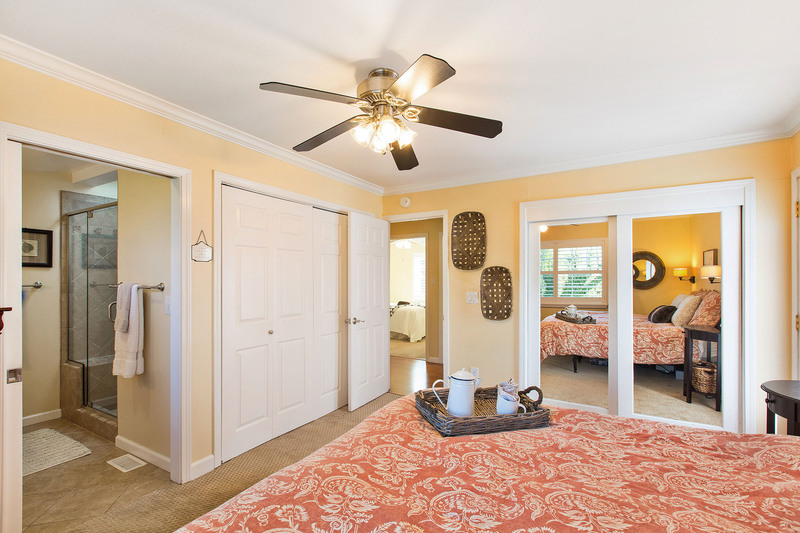 This room has space for all of your day-to-day activities. 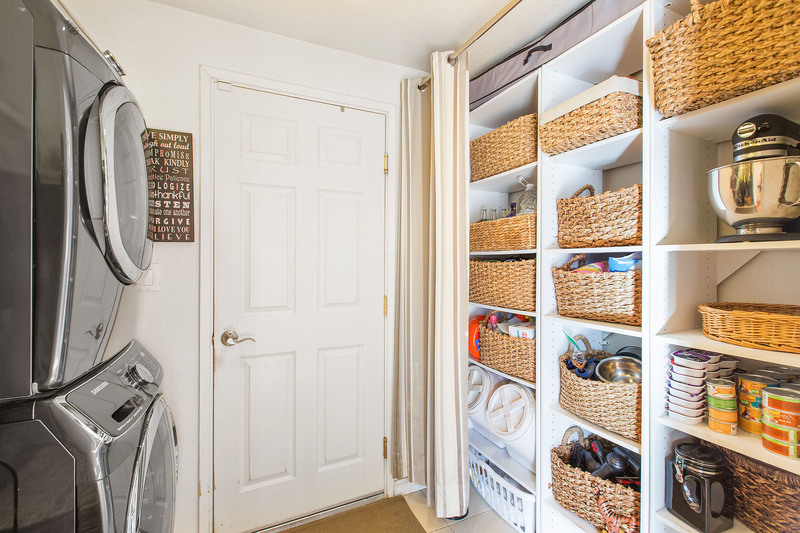 A large walk-in closet with built-in shelving will provide plenty of space to store your games, craft projects or work files. 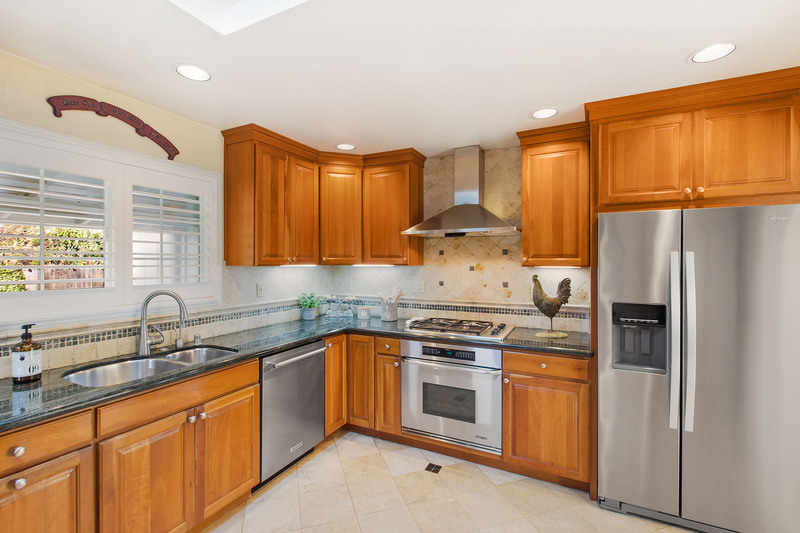 The kitchen was designed and remodeled by Douglah Designs of Lafayette in 2004 and features DeWils custom cherry cabinets, Verde Meritaca granite with a full bullnose edge, tumbled marble backsplash and Pueblo Travertine floors with tumbled slate inlay. 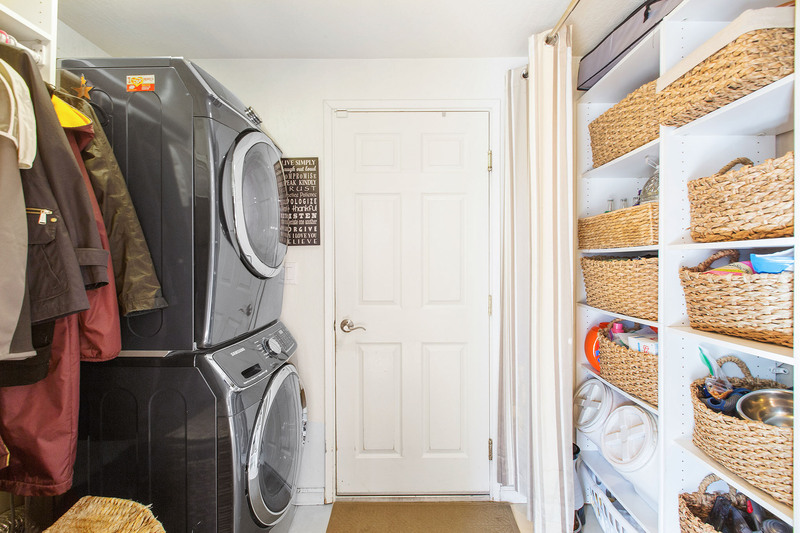 The matching built-in hutch provides extra storage. 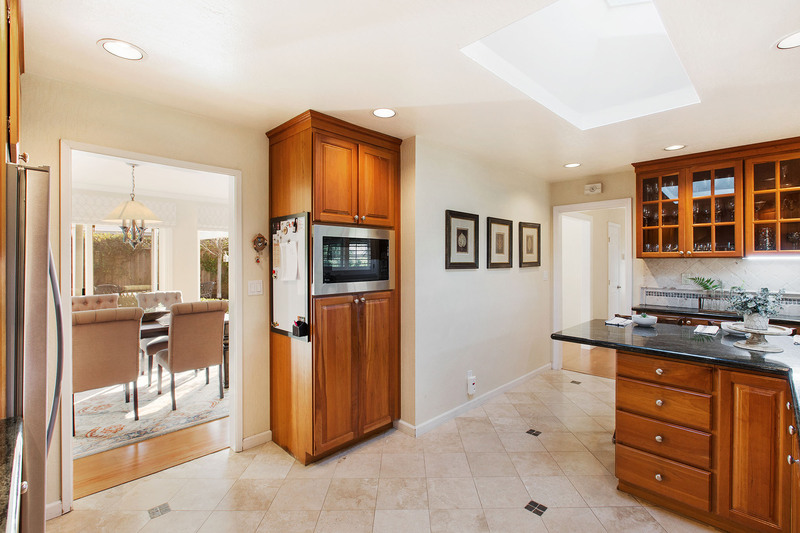 Built in appliances include a 4 burner Dacor gas stove, a Kitchen Aid dishwasher and a GE Profile Microwave. 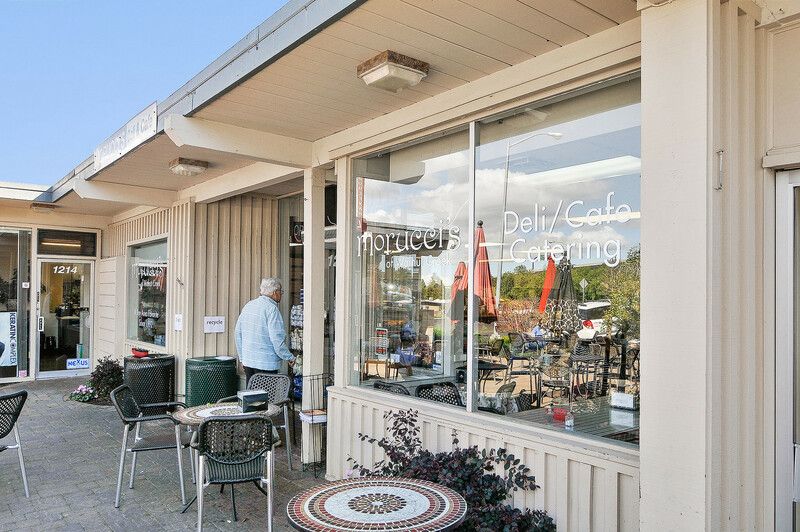 The peninsula island provides extra seating and counter space. 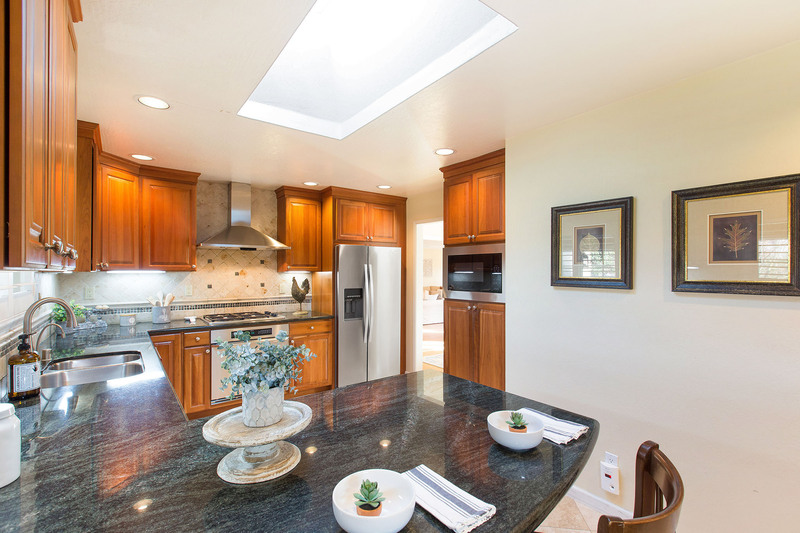 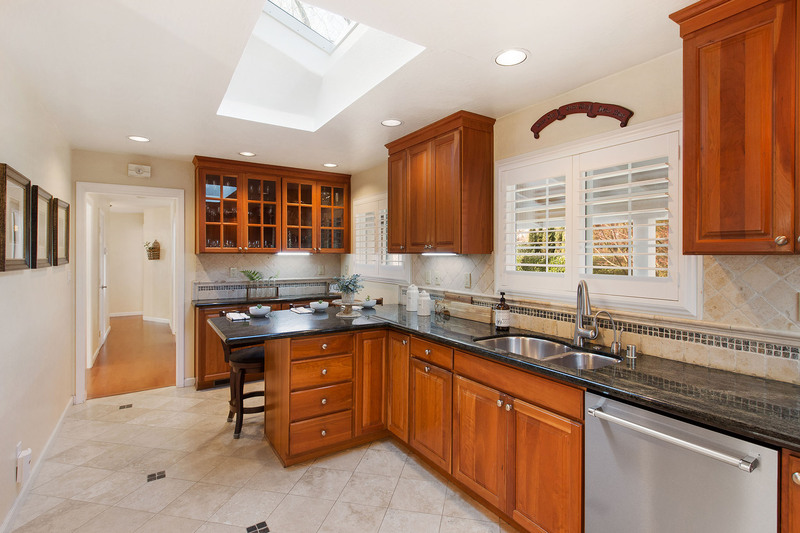 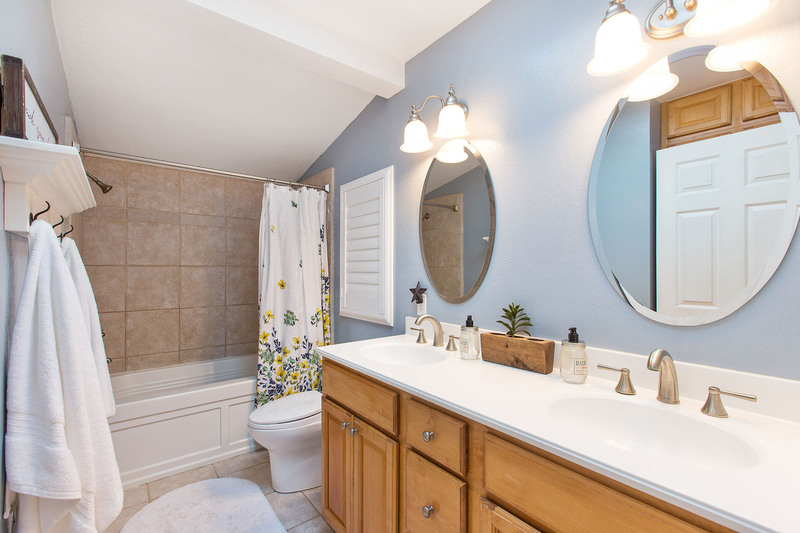 The remodeled hall bath has a skylight providing wonderful natural light. 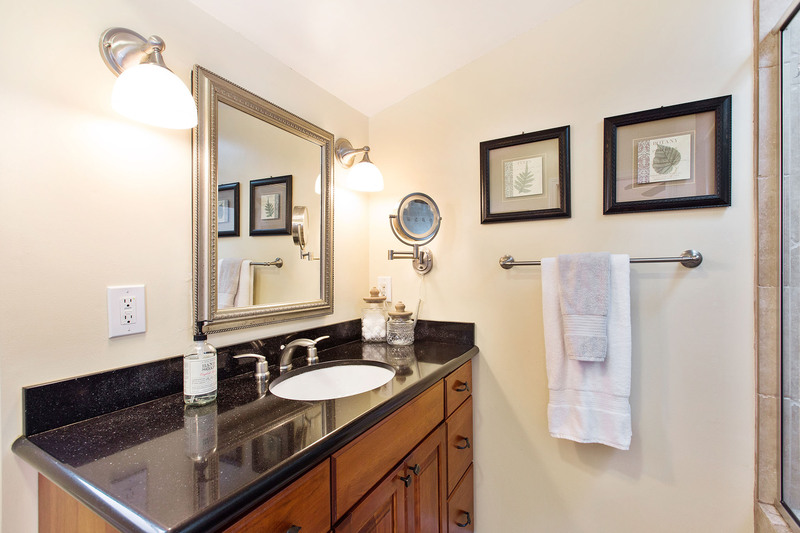 The bathroom includes double sinks, Toto fixtures, a Toto toilet, and a Jacuzzi soaking tub. 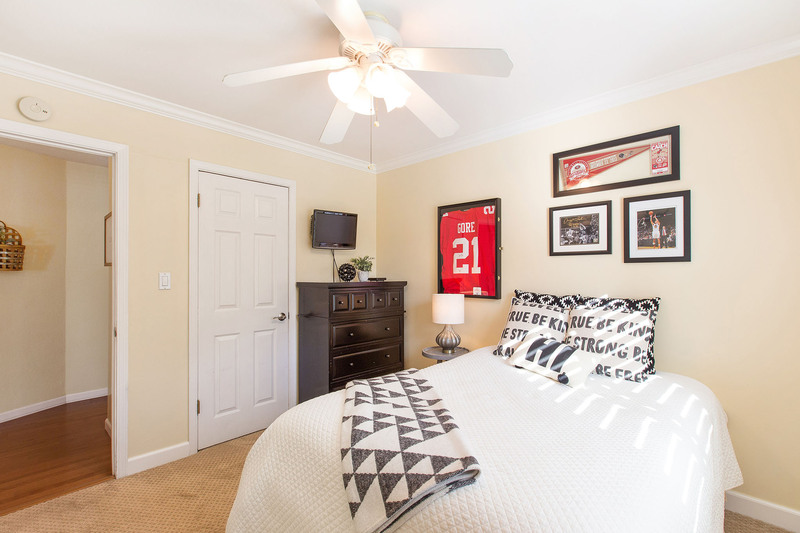 The cheerful master suite includes two closets with custom closet organizers, an overhead fan, newer carpet and tons of natural light. 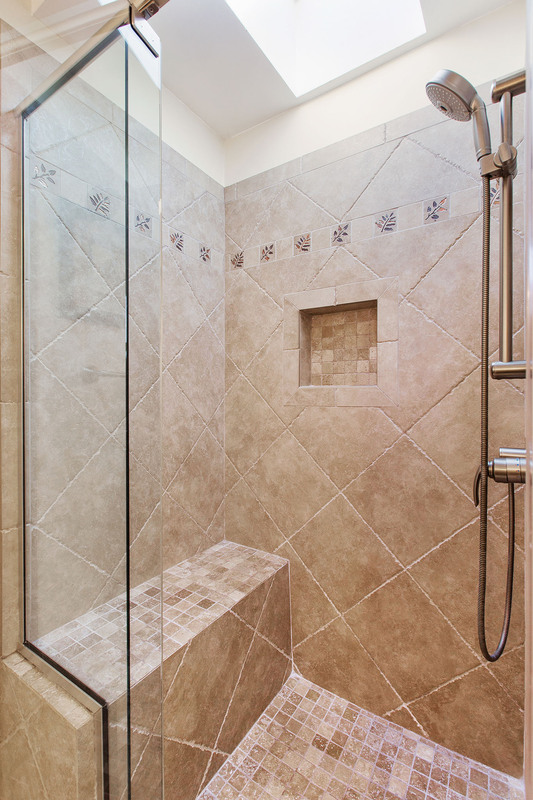 Enter the bath through a pocket door for privacy. 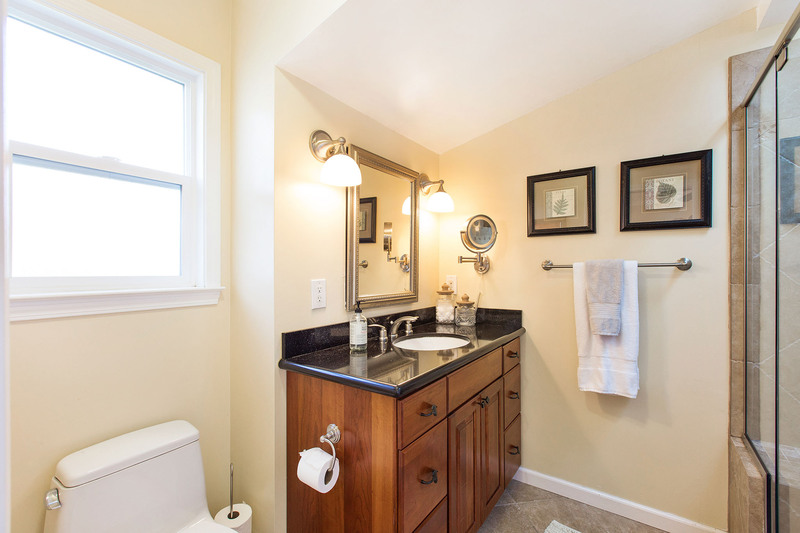 The bath features a tile floor, a custom vanity with a granite counter, Toto fixtures, Toto toilet, and a large walk-in custom tiled shower. 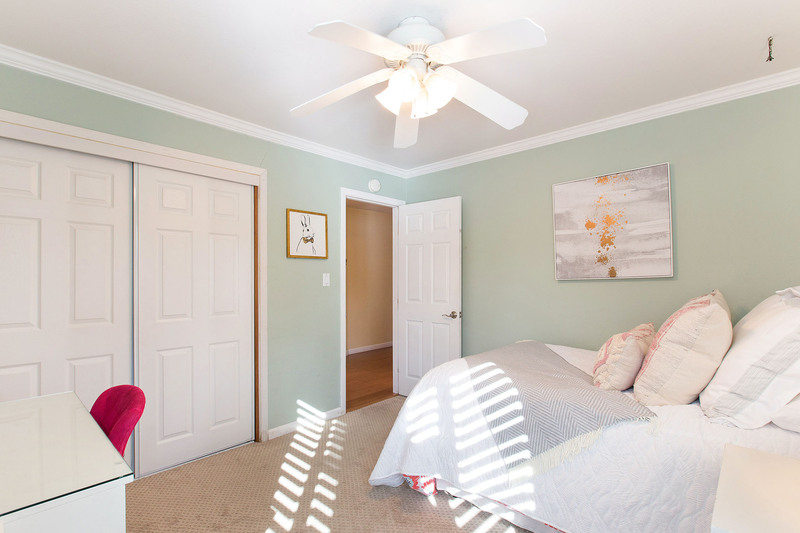 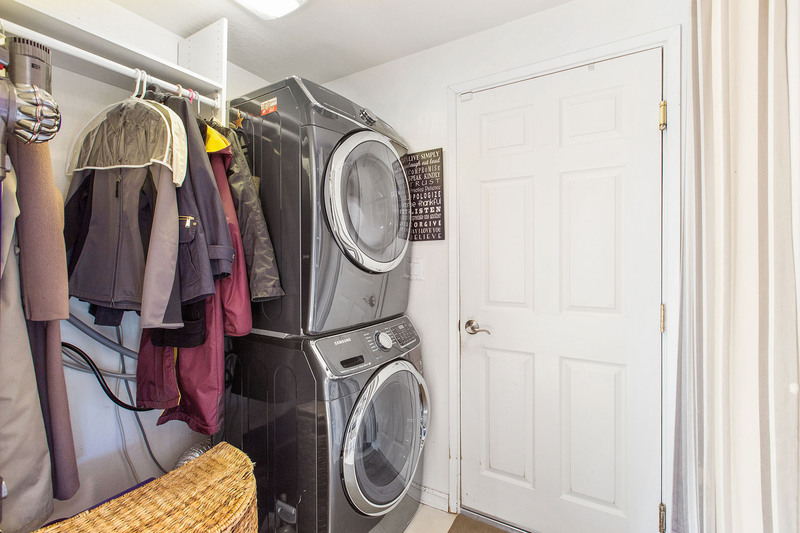 Two more bedrooms include ceiling fans, closets with organizers and newer carpet. 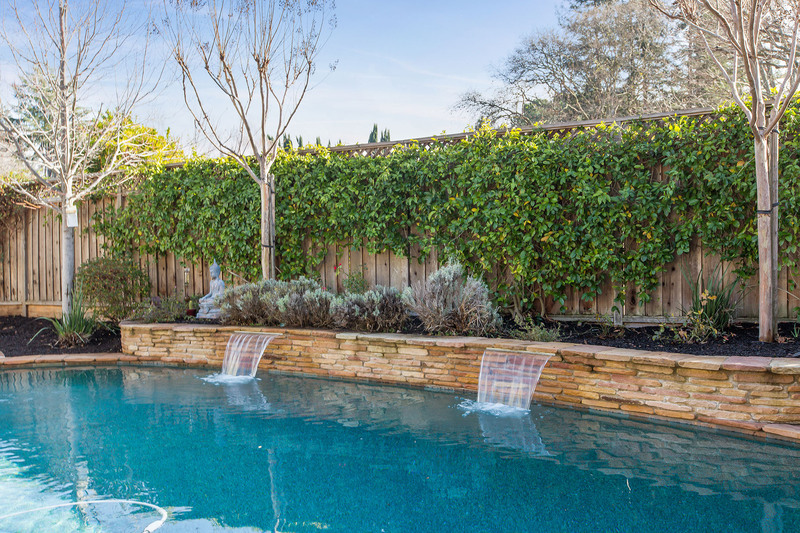 Your own private oasis awaits you out back with a remodeled pool complete with a water feature. 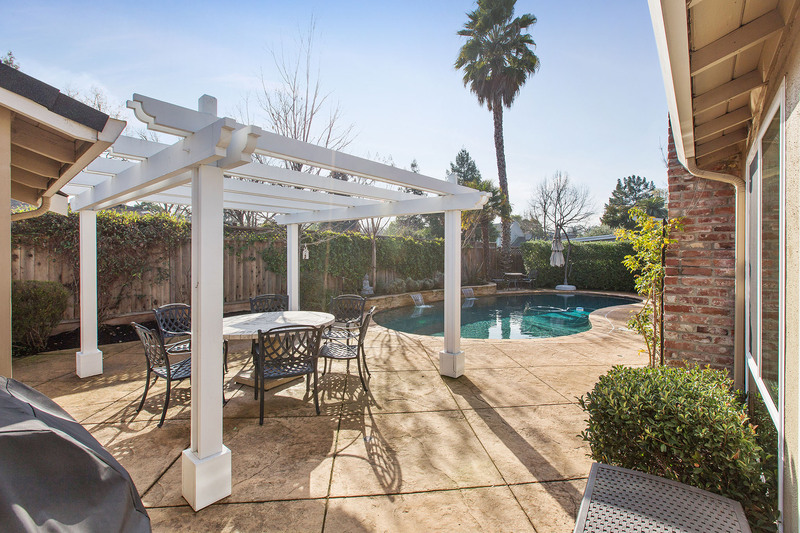 Entertain family and friends on the beautifully landscaped patio with stamped concrete, a pergola and palm trees. 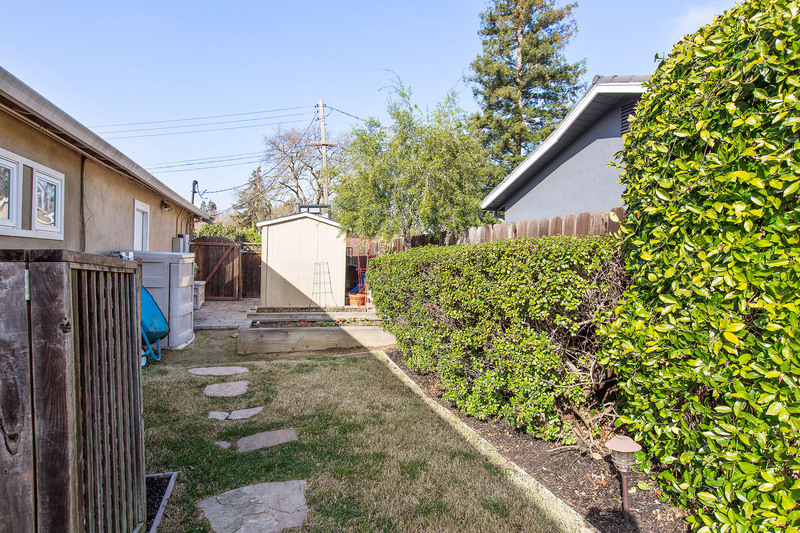 A side yard provides added space for relaxing in the hot tub or growing your own veggies in the raised beds. 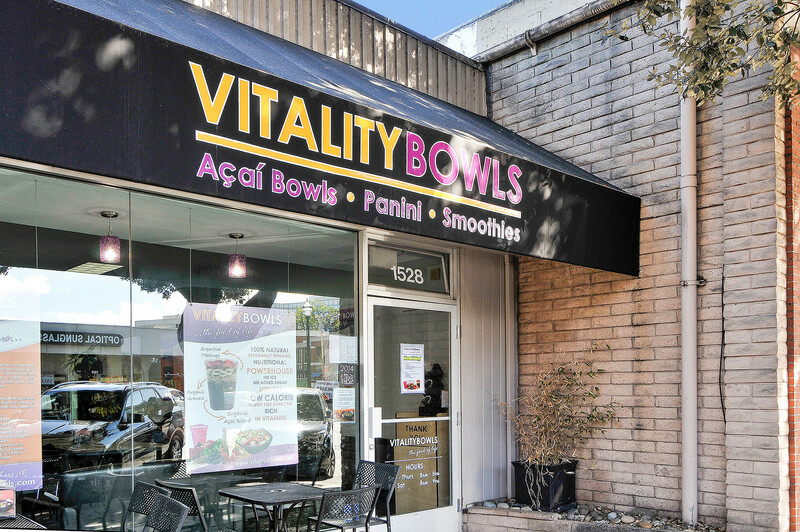 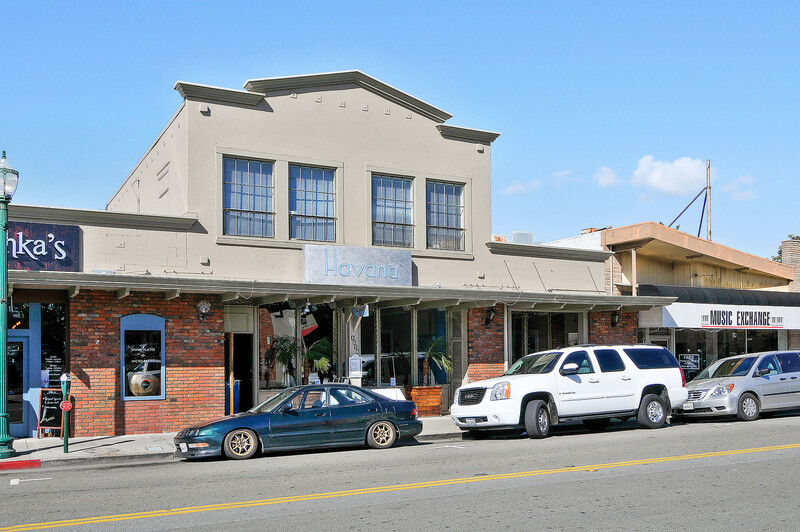 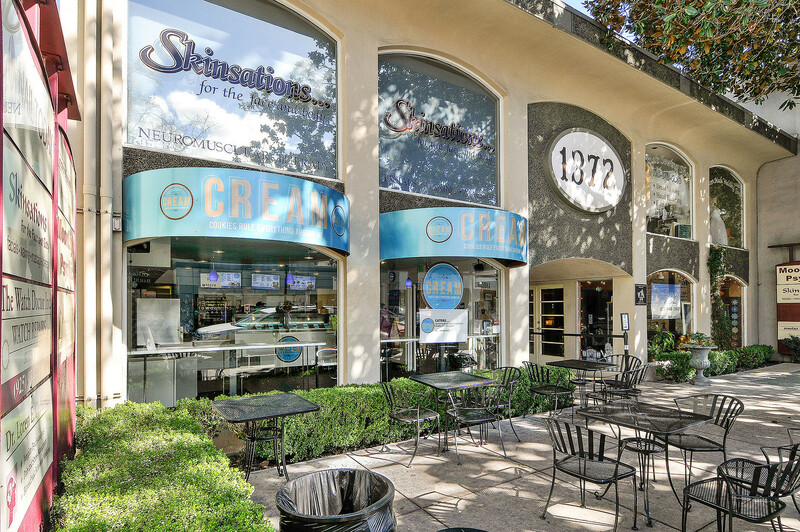 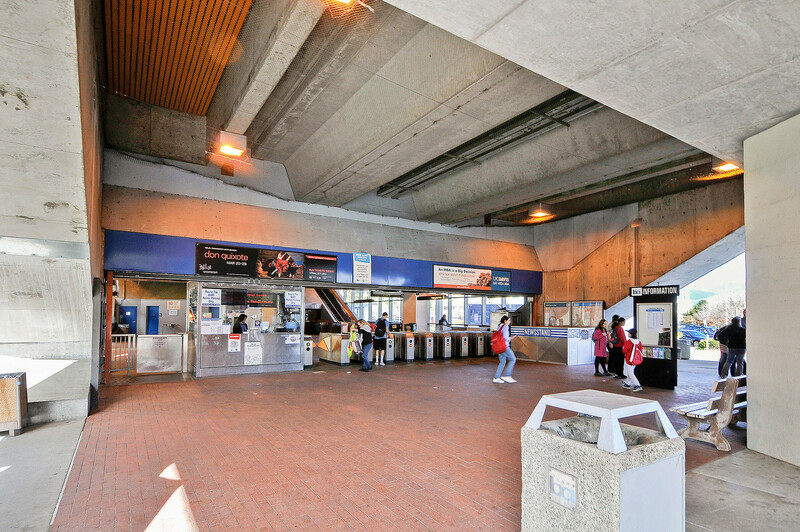 Conveniently located near the Lower Lakewood neighborhood, near Homestead Park and downtown shopping & restaurants. 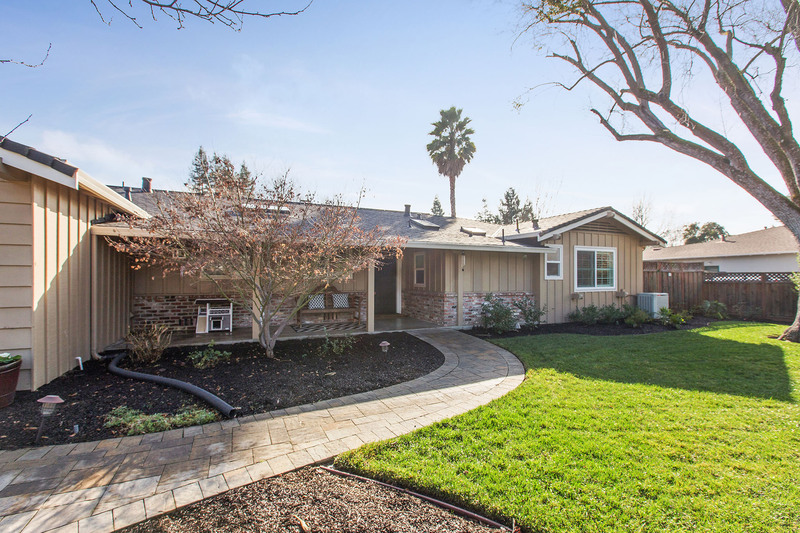 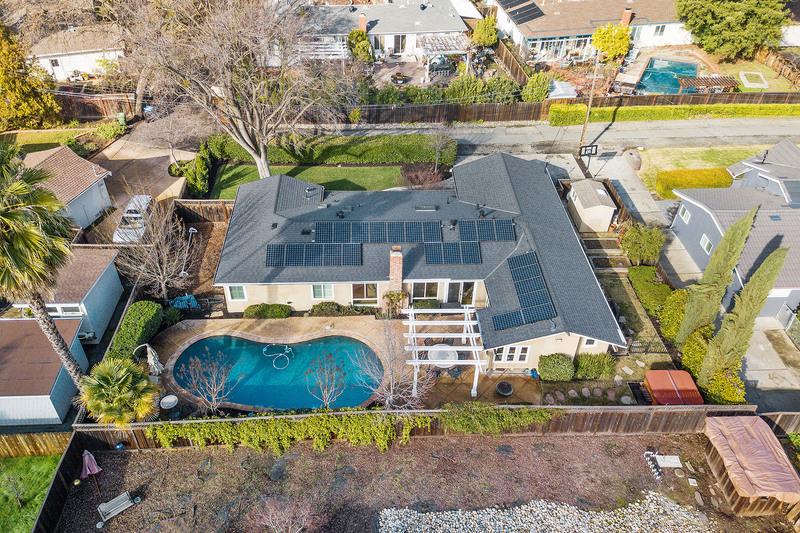 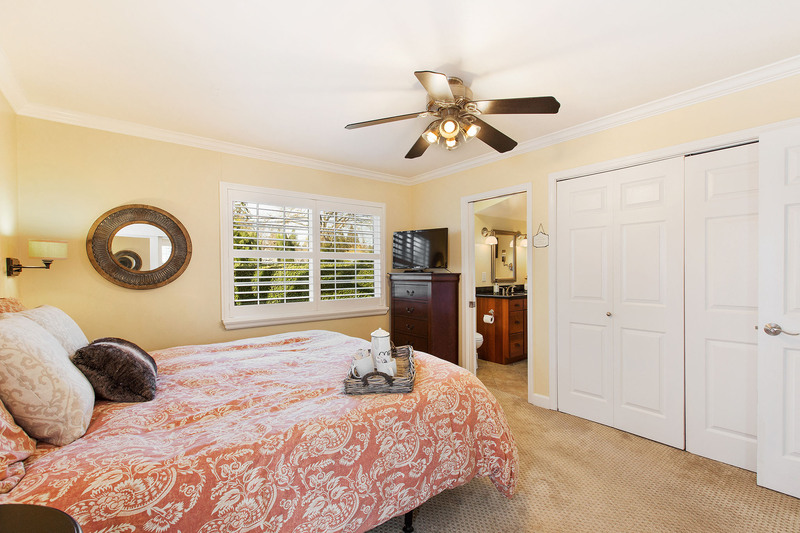 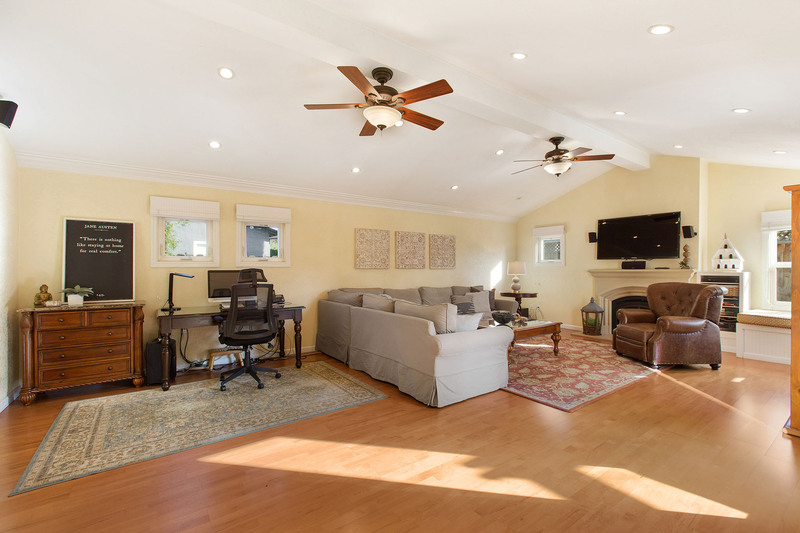 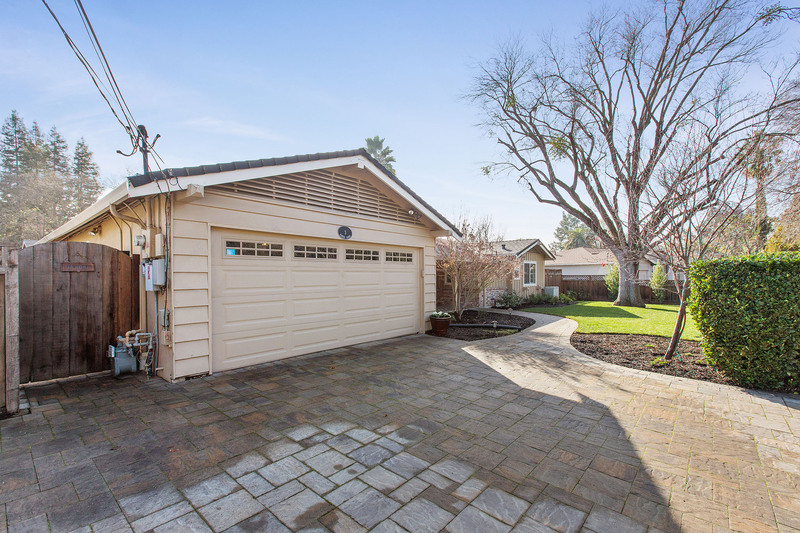 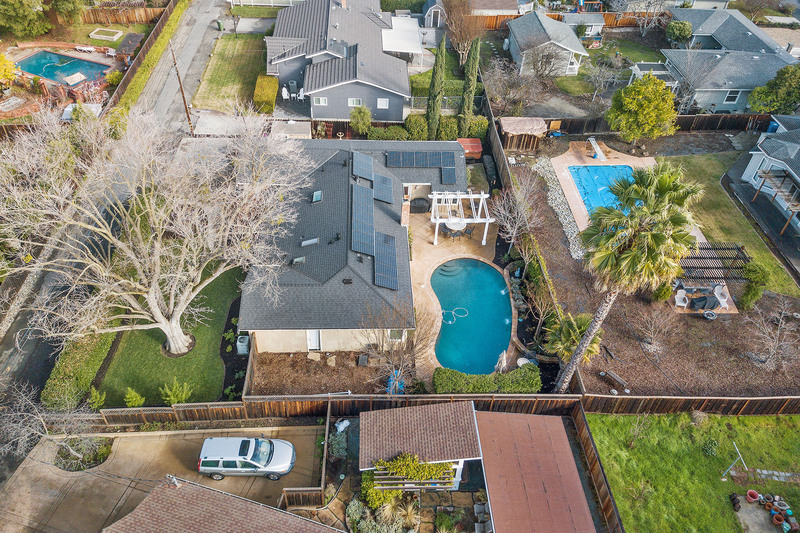 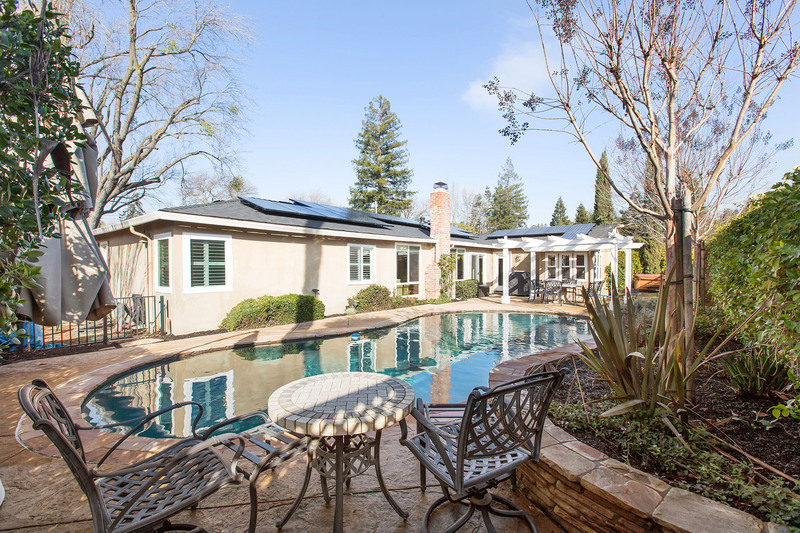 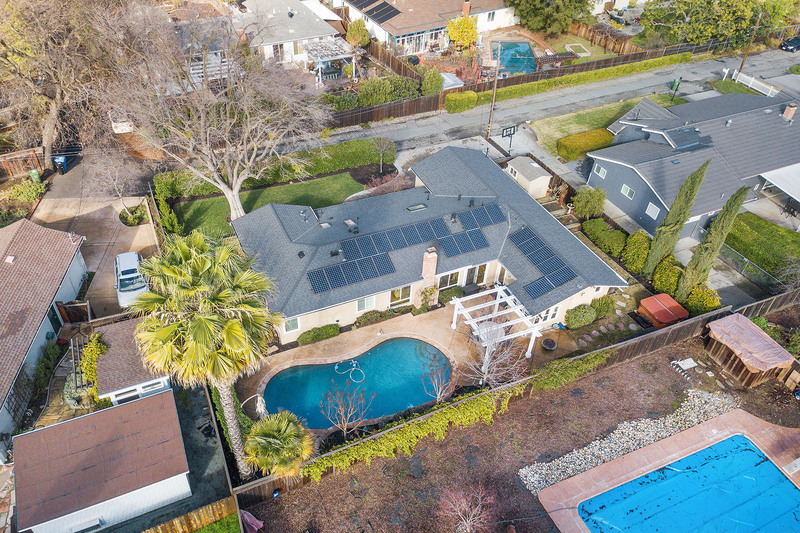 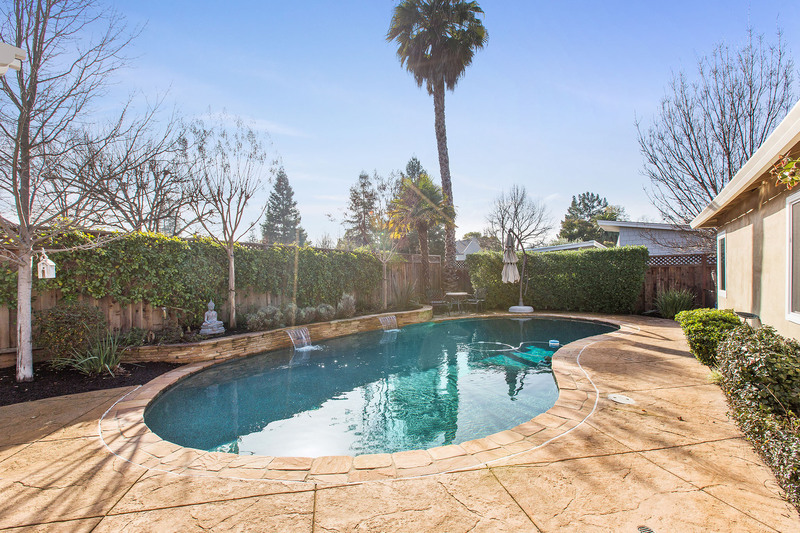 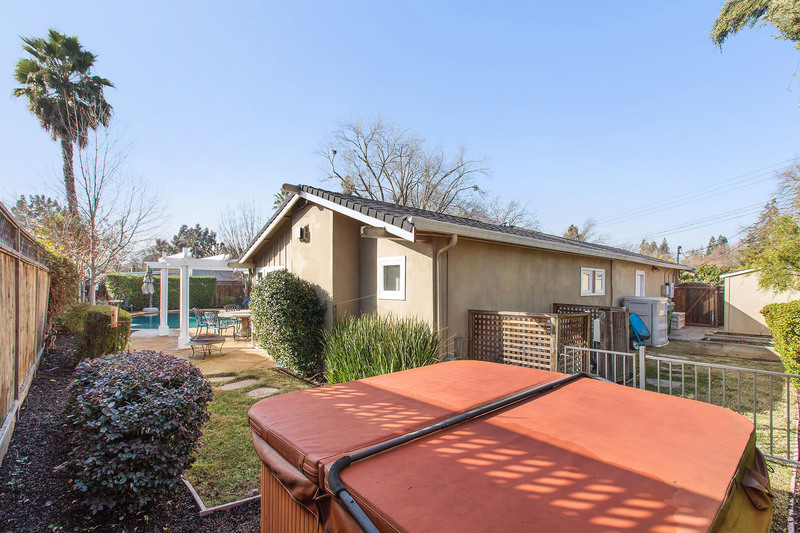 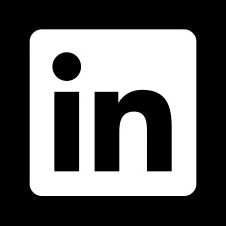 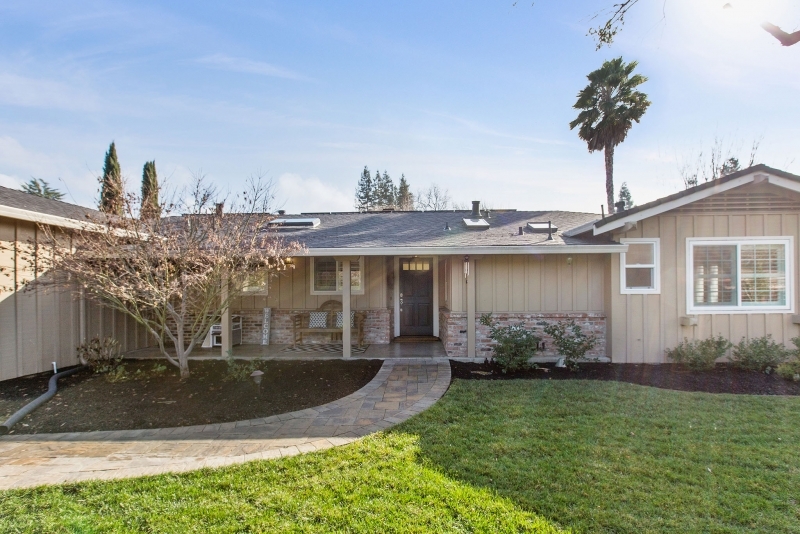 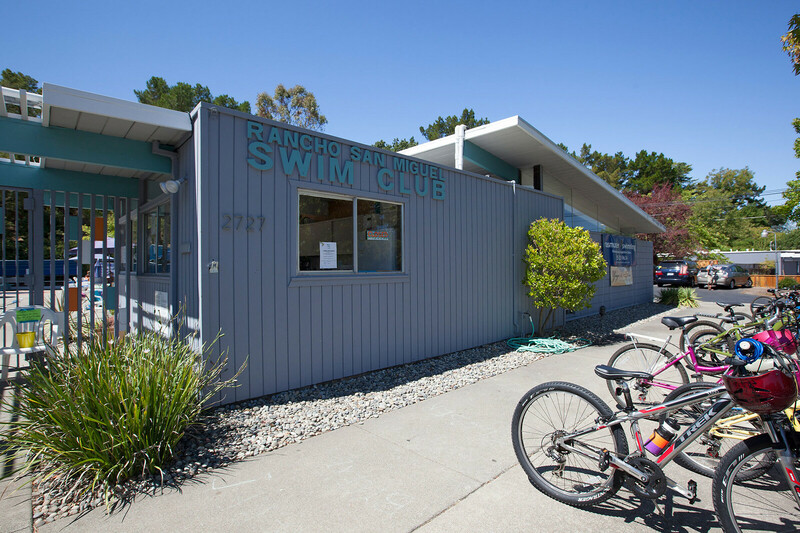 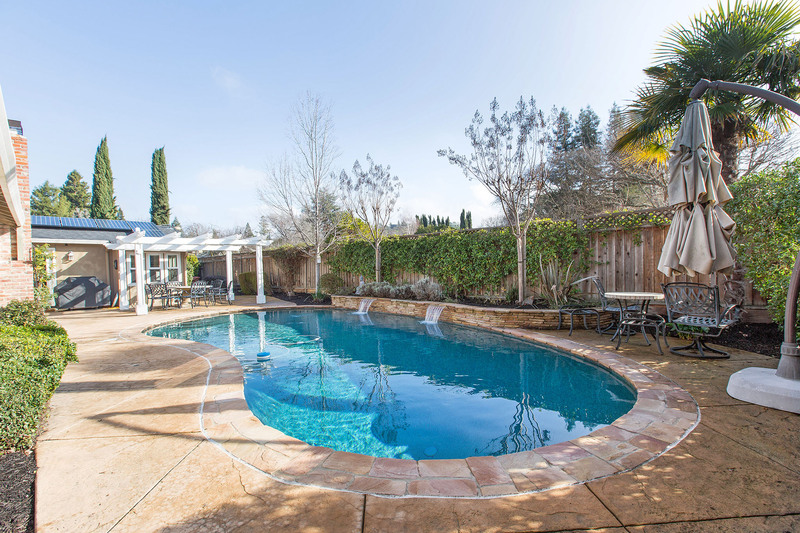 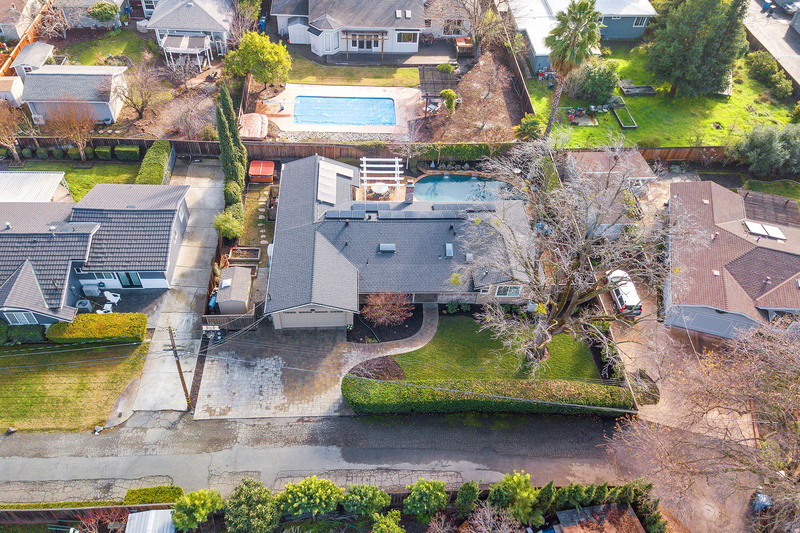 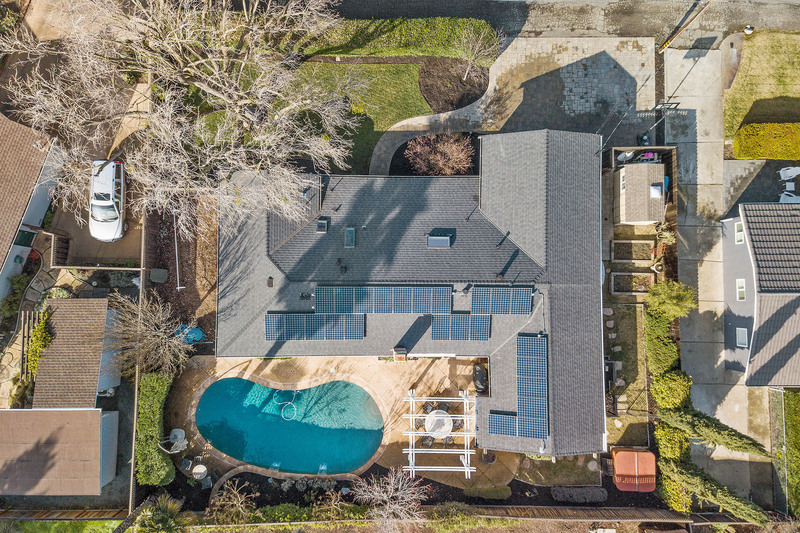 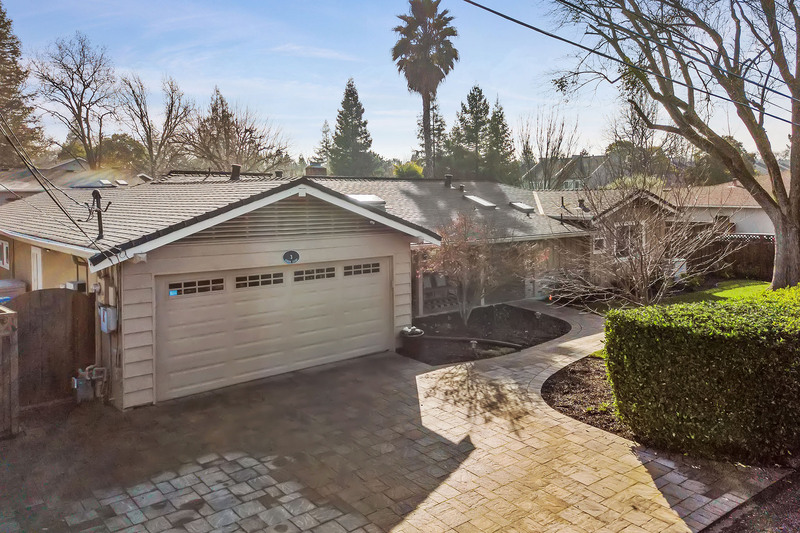 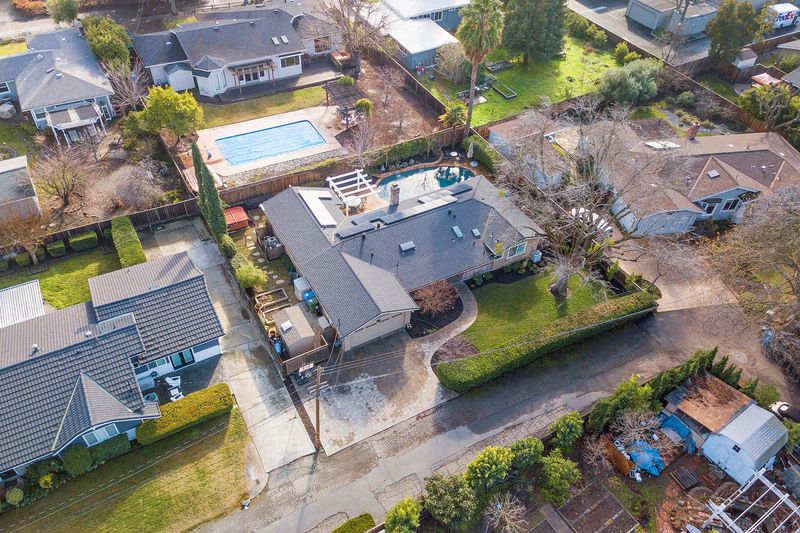 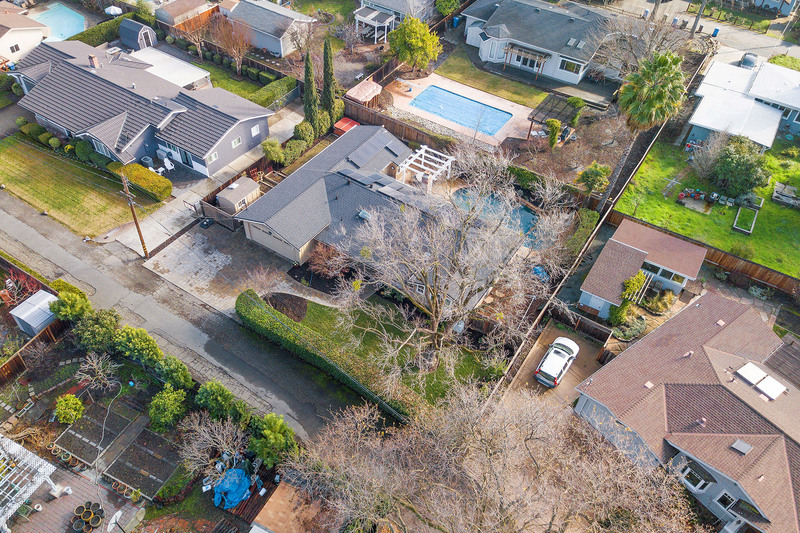 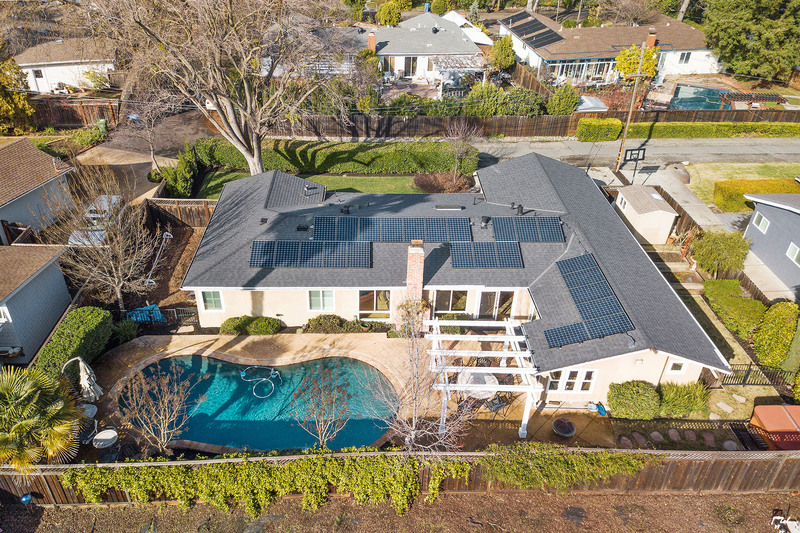 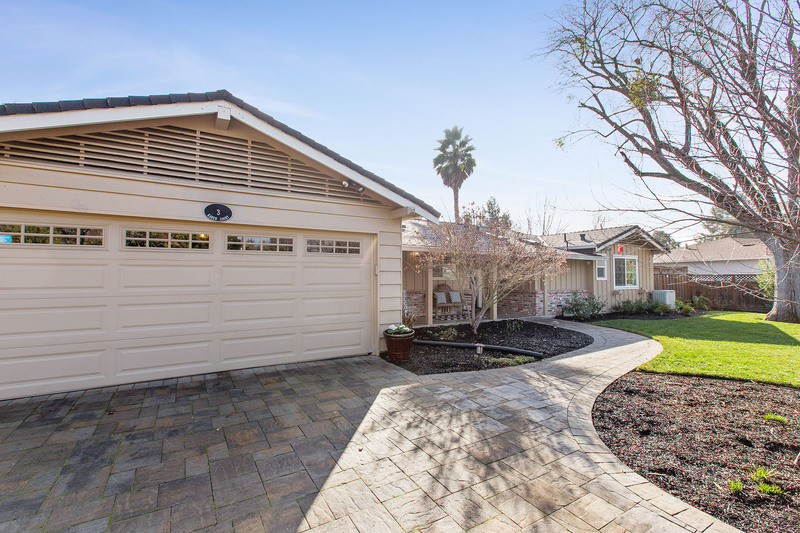 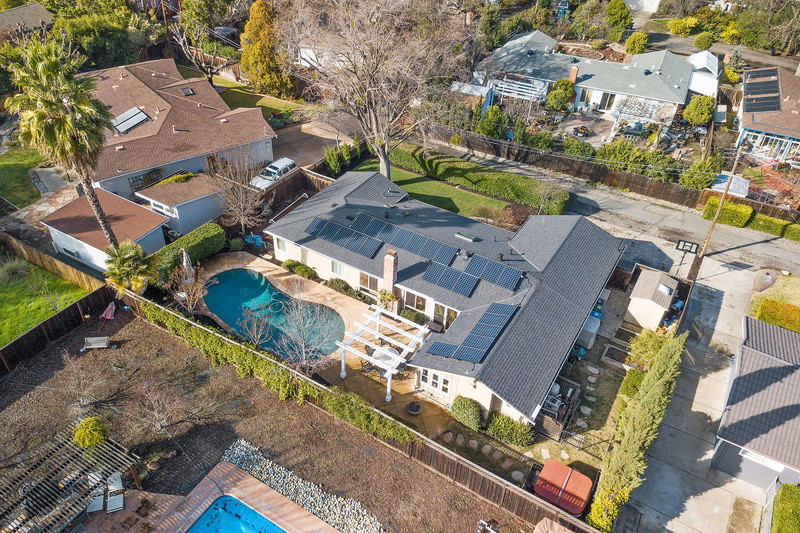 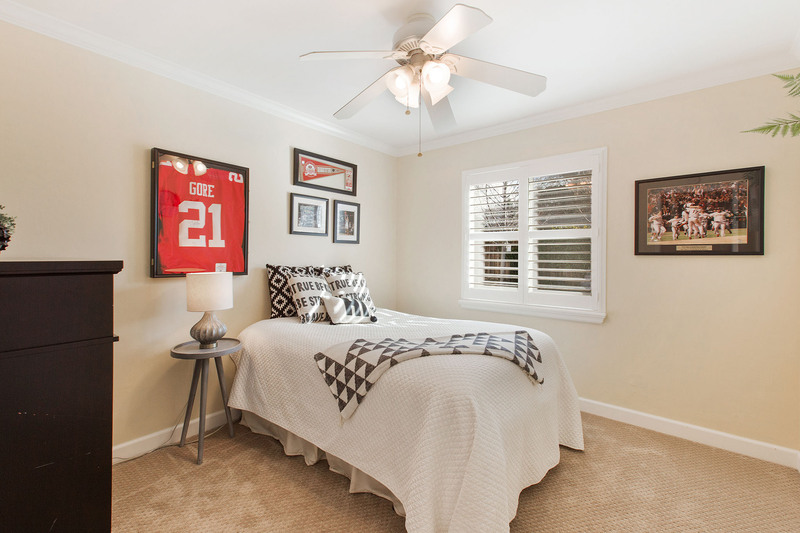 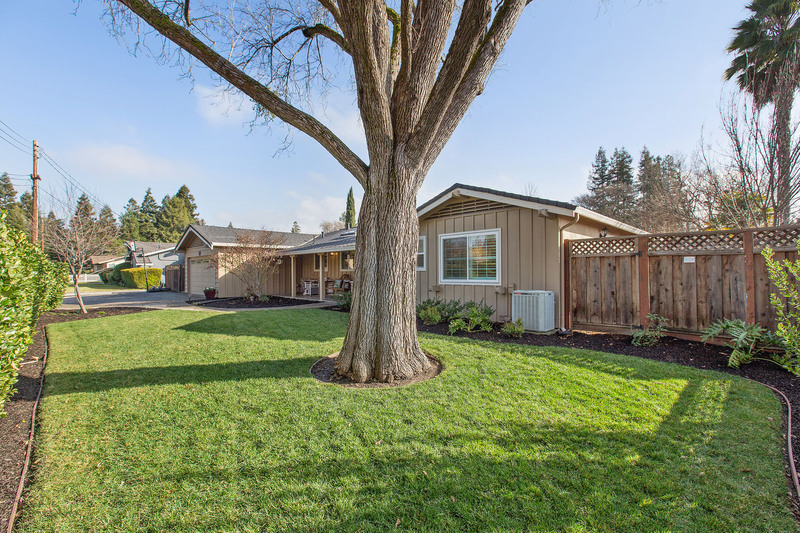 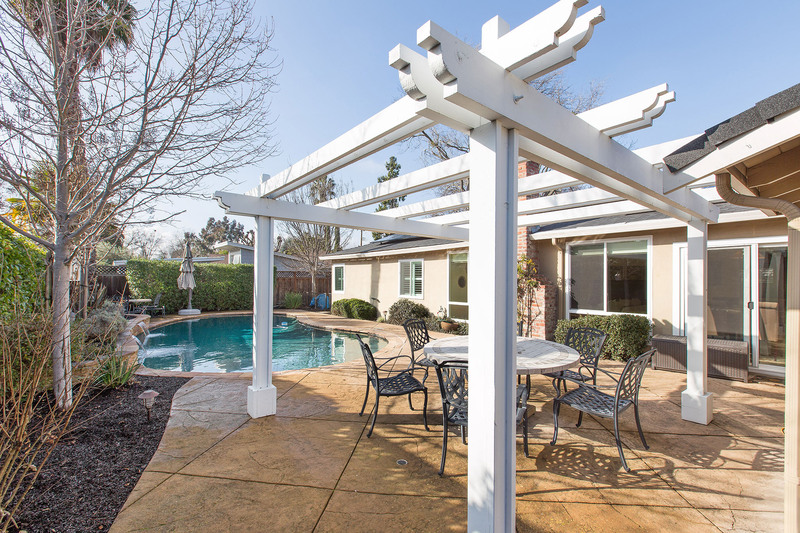 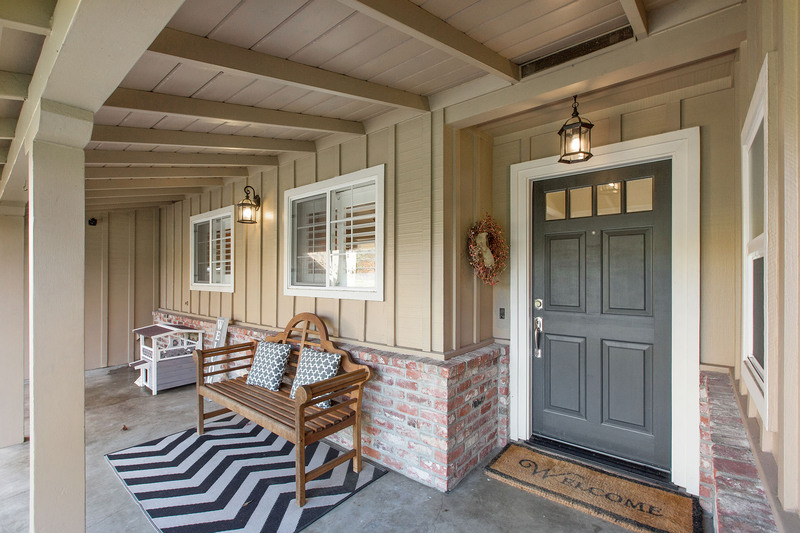 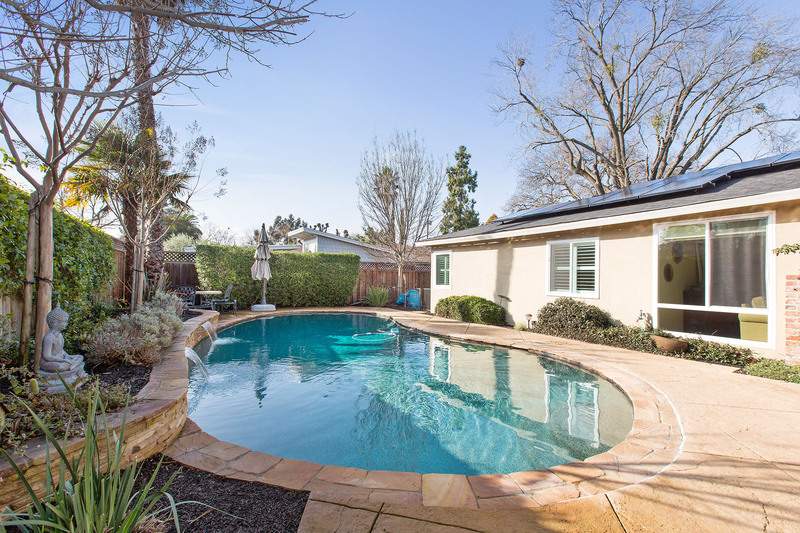 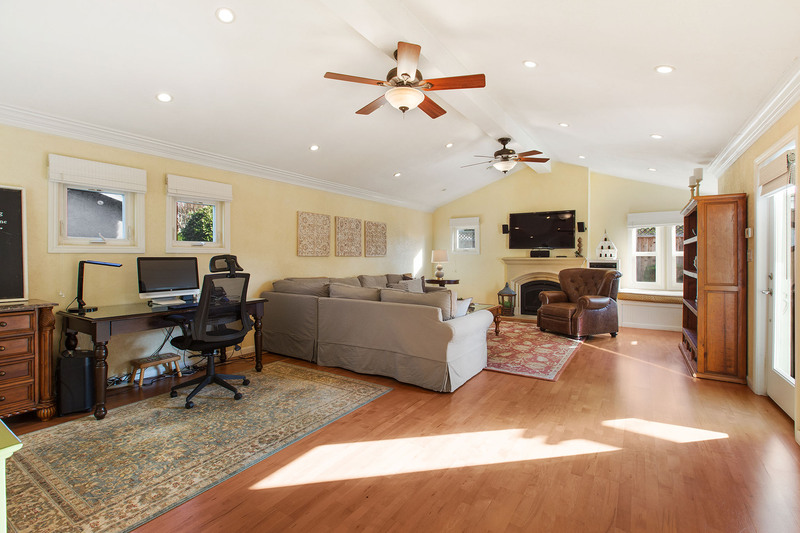 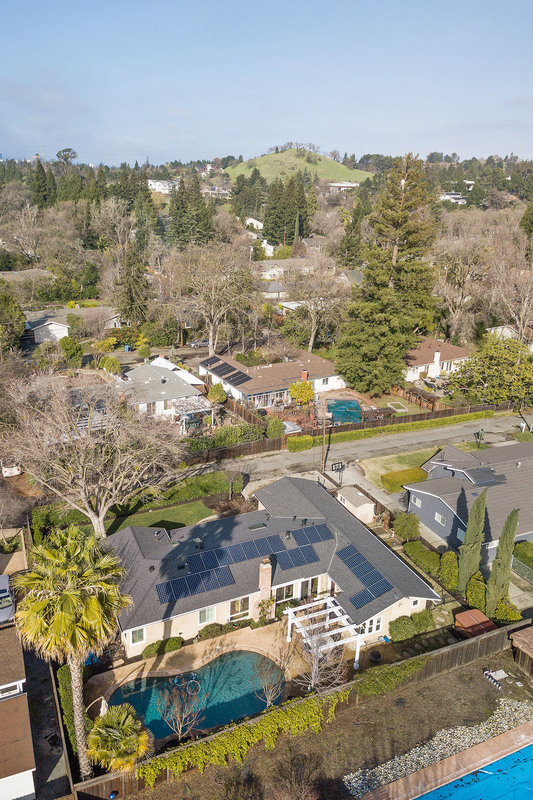 Great proximity to BART, freeways, Indian Valley Swim Club and K-12 schools including Indian Valley Elementary, Walnut Creek Intermediate, and Las Lomas High School. 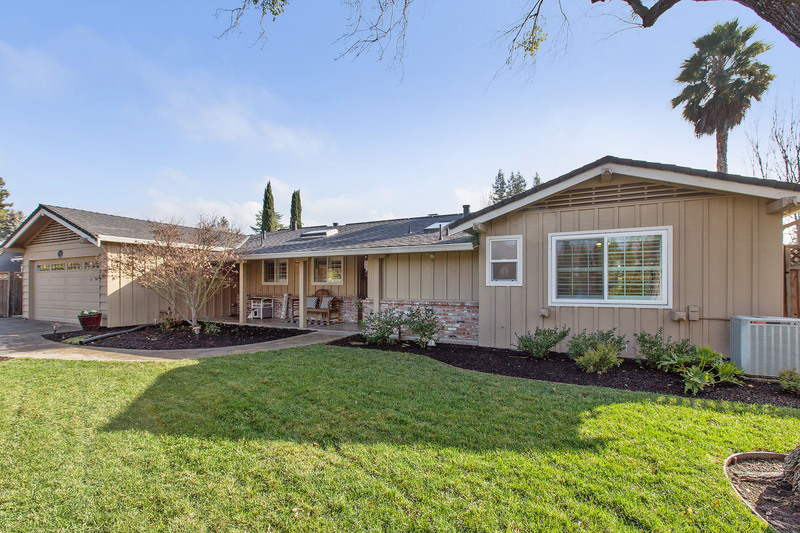 Welcome to 3 Karen Court…..Welcome home! 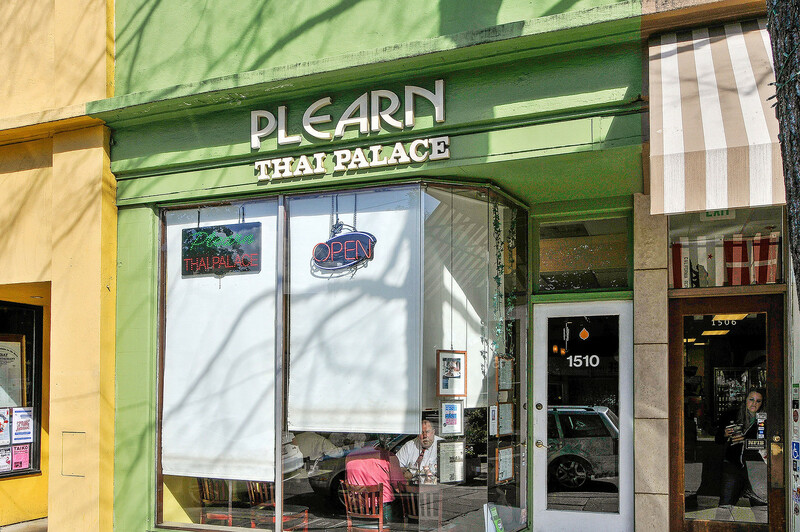 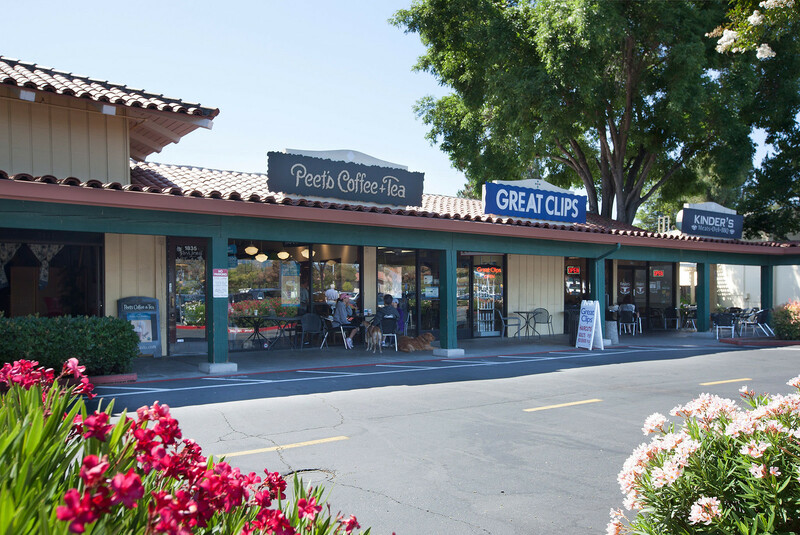 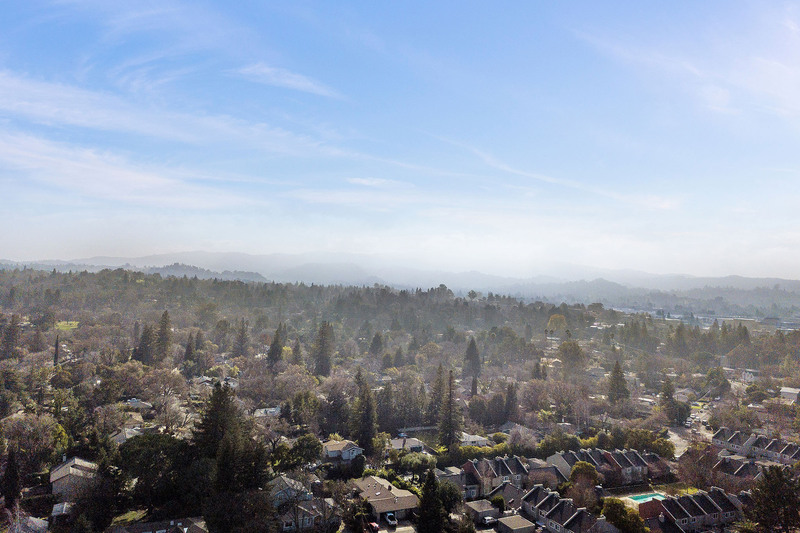 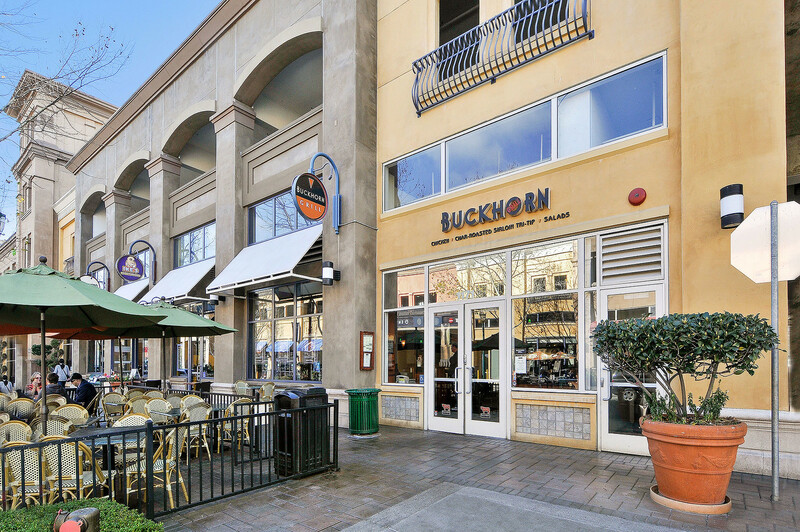 Walnut Creek, with its close proximity to Oakland and Mount Diablo, provides access to a vibrant downtown full of chic shops, quality schools, and good job opportunities at East Bay high-tech companies. 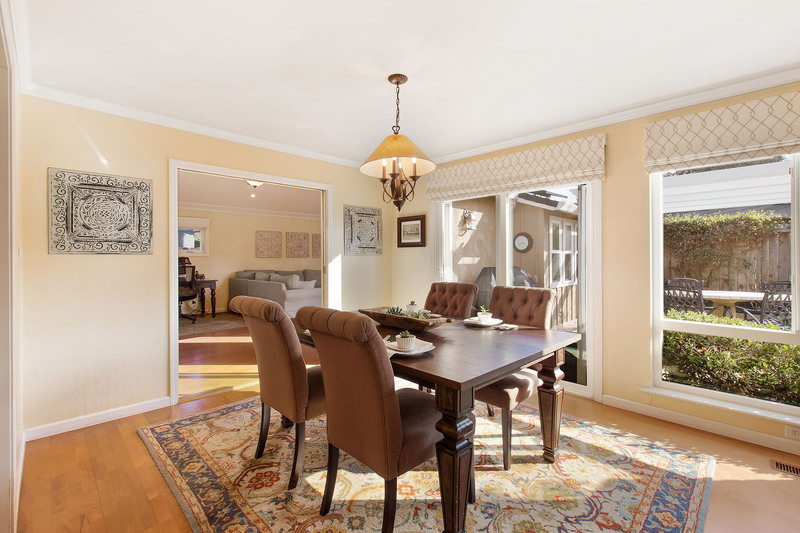 Homes feature sprawling lots, and are built in Mediterranean, traditional, and contemporary styles. 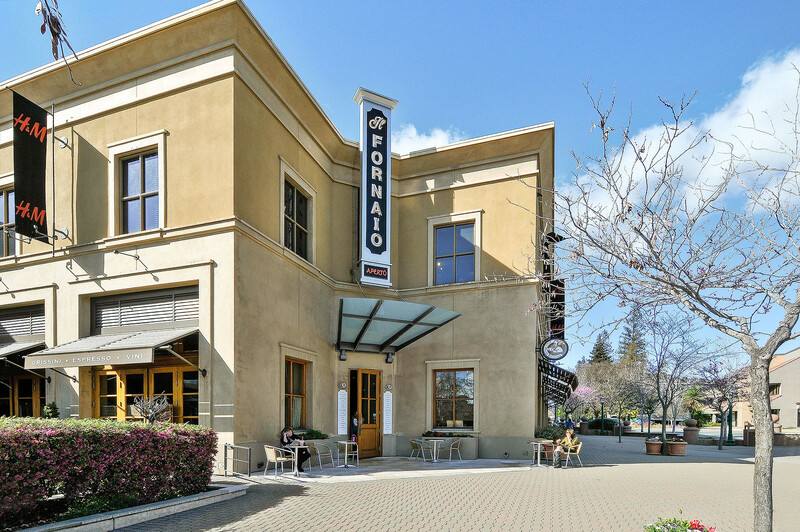 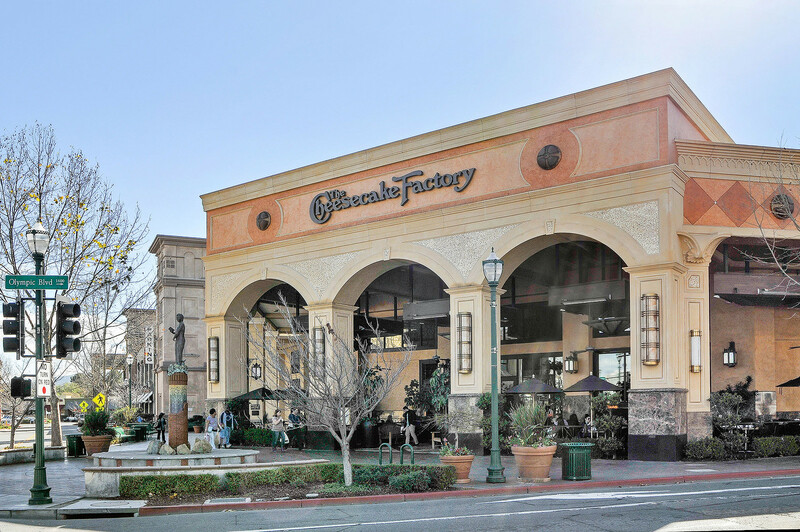 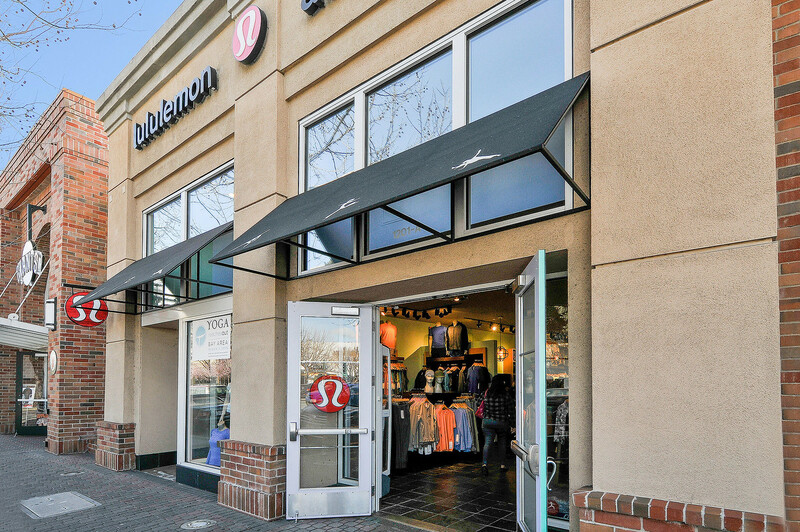 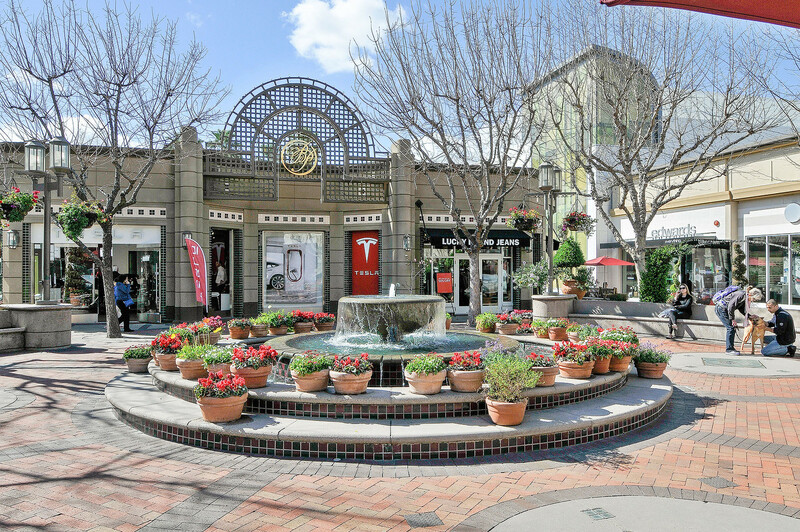 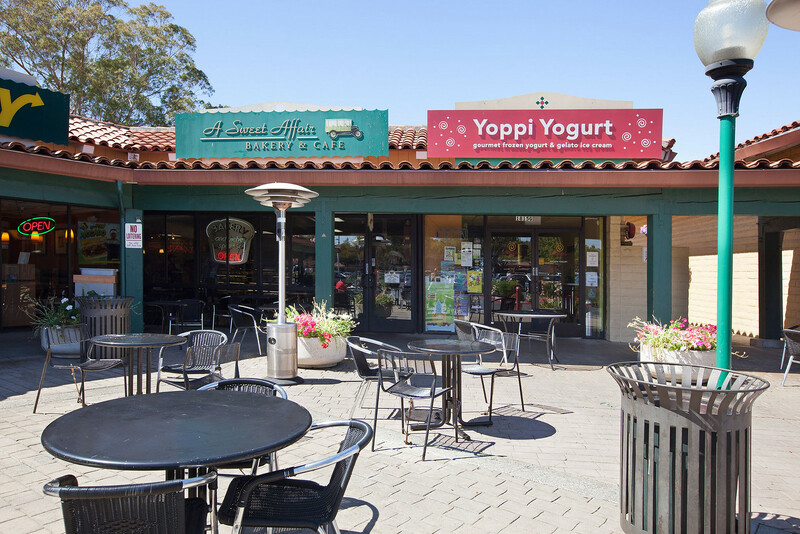 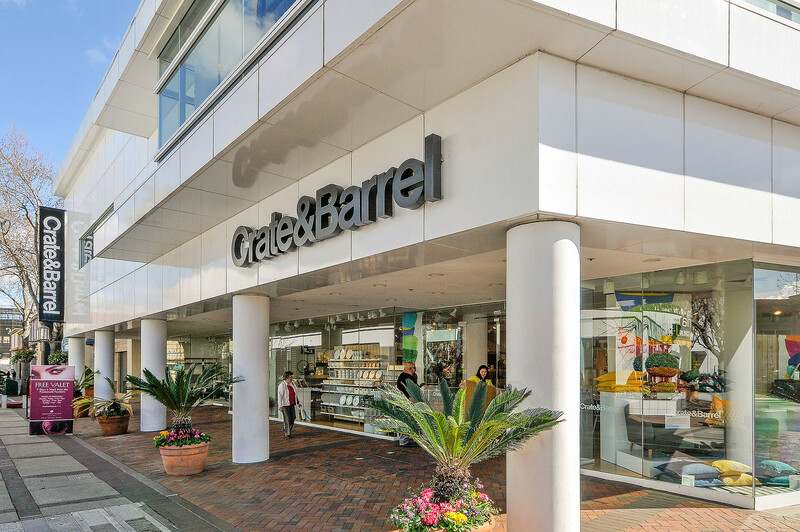 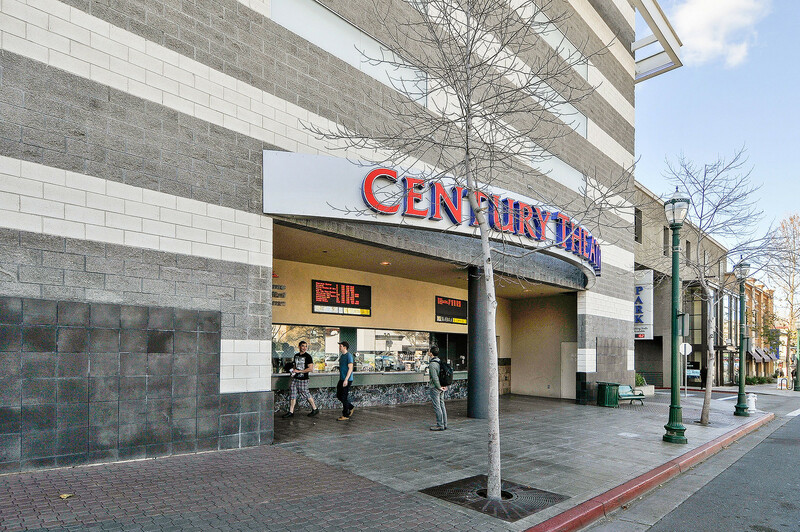 Shopping abounds in Walnut Creek's Broadway Plaza, an open-air regional shopping mall in the heart of downtown. 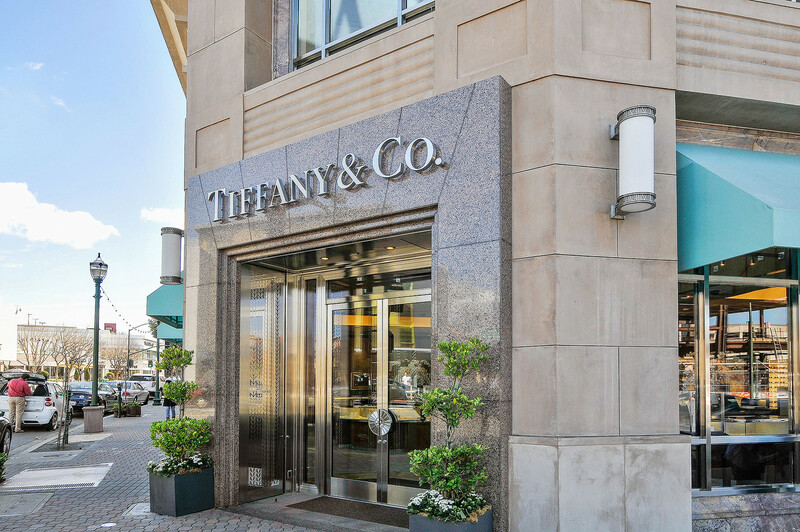 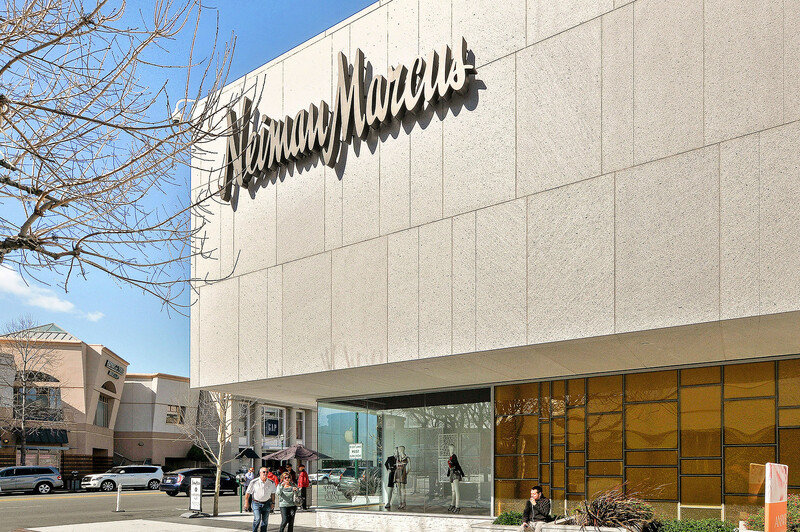 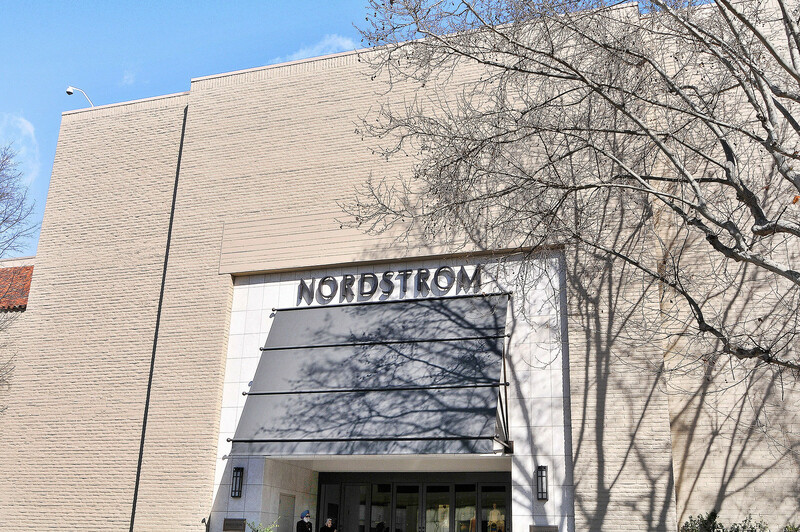 This popular commercial district combines small boutiques with upscale shopping experiences at Neiman Marcus, Tiffany, Coach, and Nordstrom. 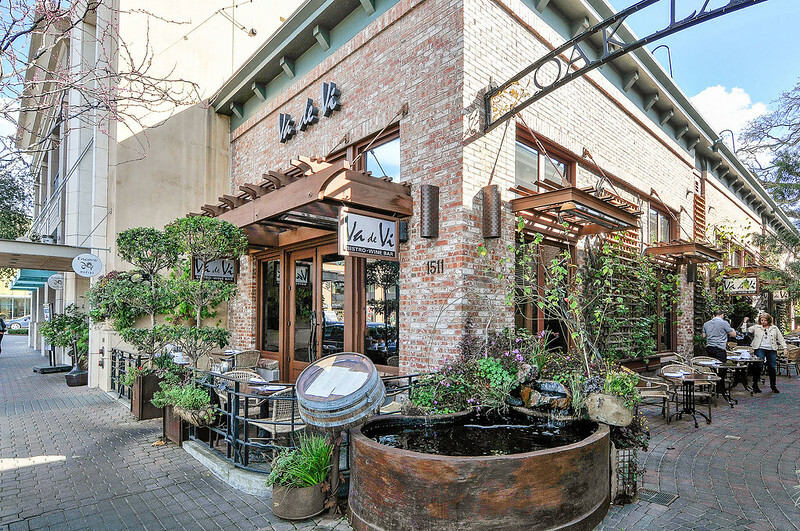 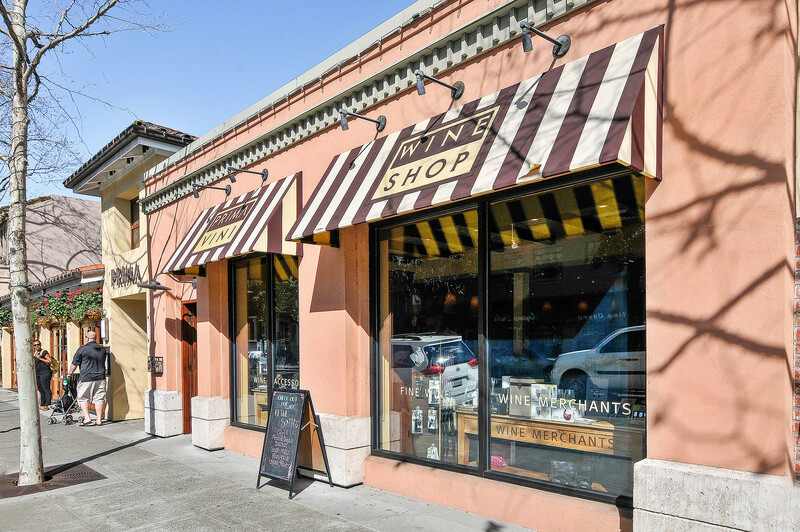 Dining at Va da Vie, Teleferic, having drinks at Rooftop or enjoying the Walnut Creek Wine Walk is part of the downtown experience. 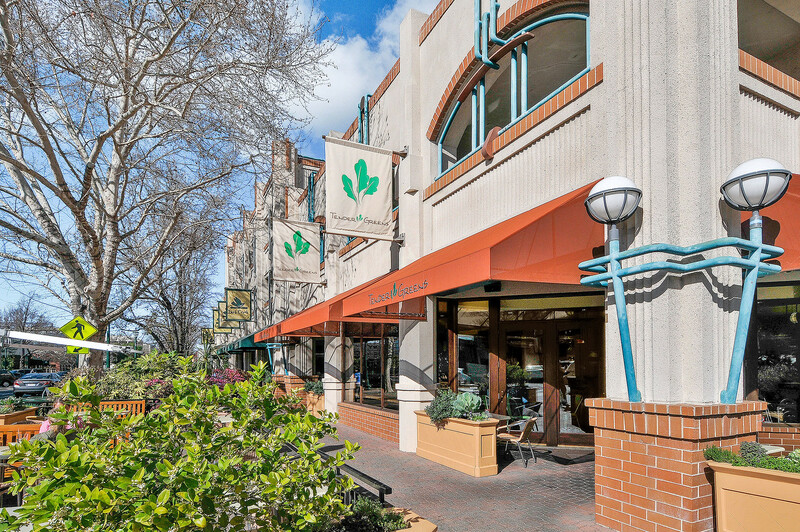 In the winter, Walnut Creek on Ice is a gathering spot for ice skating. 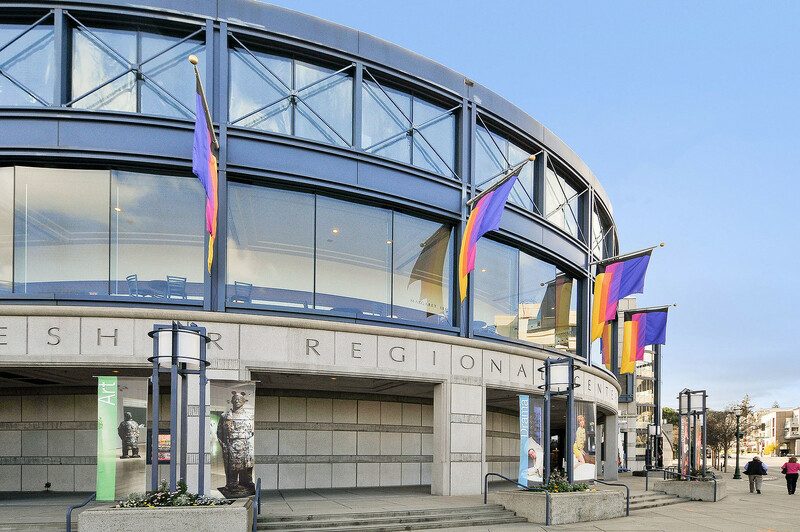 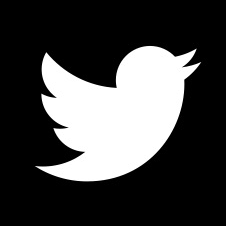 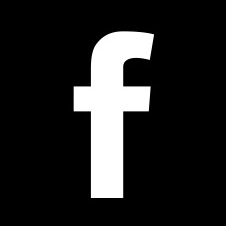 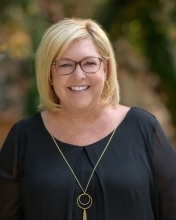 The Lesher Center for the Arts is the cultural center of Walnut Creek and presents hundreds of events each year — including musicals by local theater groups, and concerts by Diablo Symphony Orchestra and the Contra Costa Chamber Orchestra. 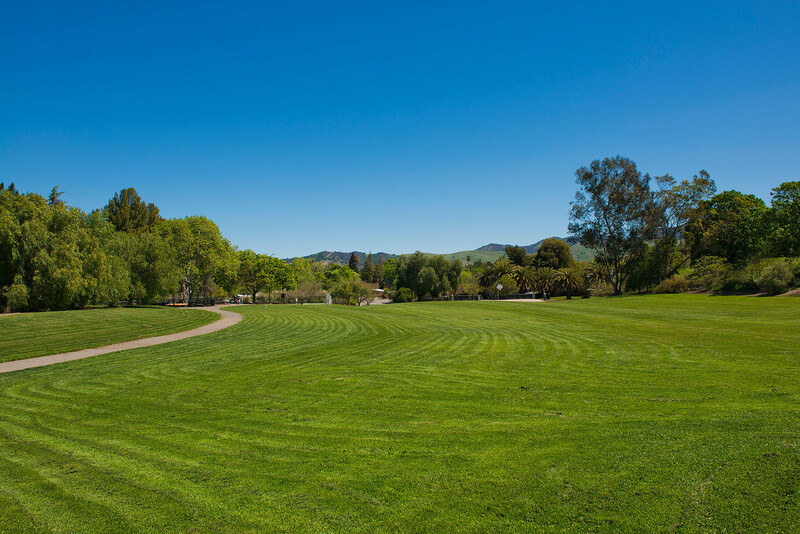 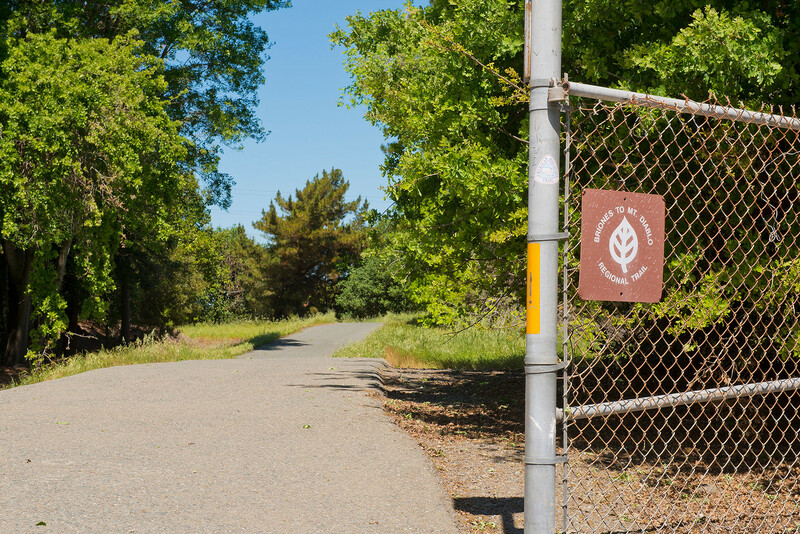 Walnut Creek’s 15 parks feature picnic areas, dog parks, and soccer fields. 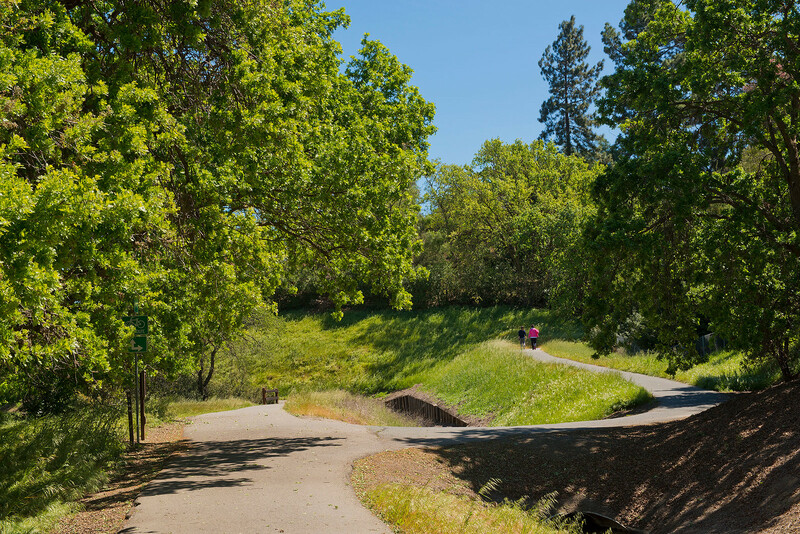 A skate park serves the city’s skateboarders, and the Butterfly Habitat Gardens in Civic Park is home to 25 species of butterflies and more than 100 species of California plants.